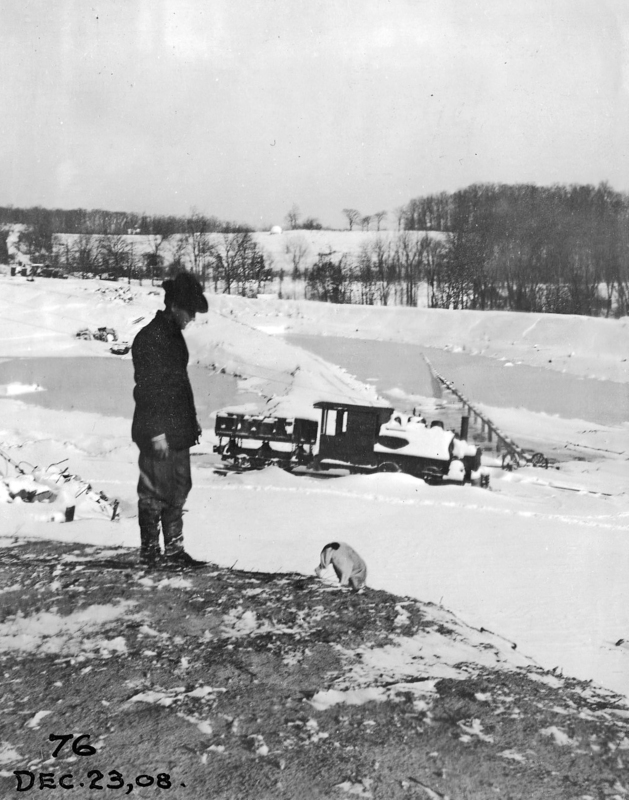 Building the High Service Reservoir, also known as Lake Ashburton. The little train that couldn’t. 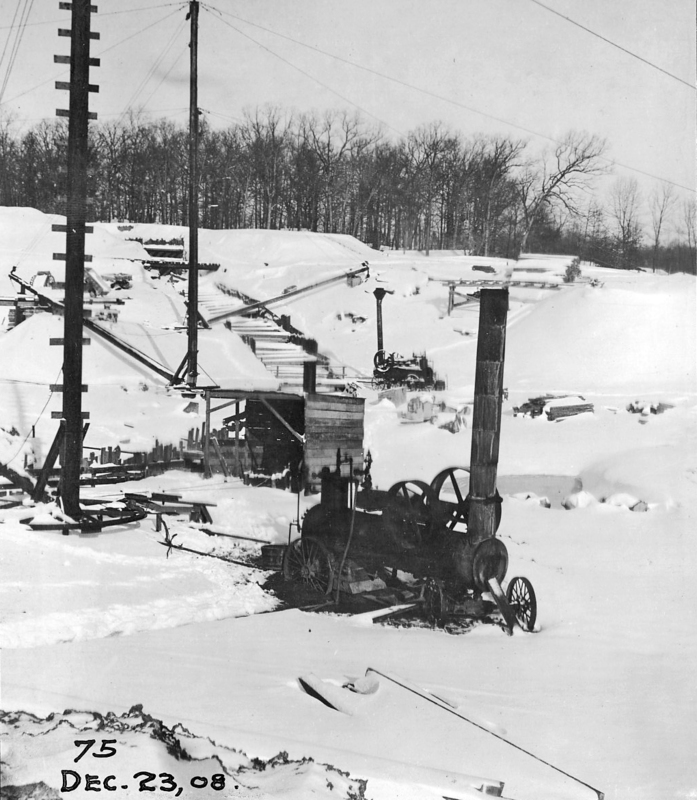 Steam engines used to pull cables on derricks, to lift construction materials. A boy and his dog. Look close, center on horizon. Does that look like a giant snow ball someone is about to roll down the hill? 1955 – Dr. John C. Geyer, Consultant for Baltimore City, and Mr. Jerome B. Wolff, Consultant for Baltimore County Metropolitan District, having concluded their study of the entire distribution system submitted their report on July 1, 1955. 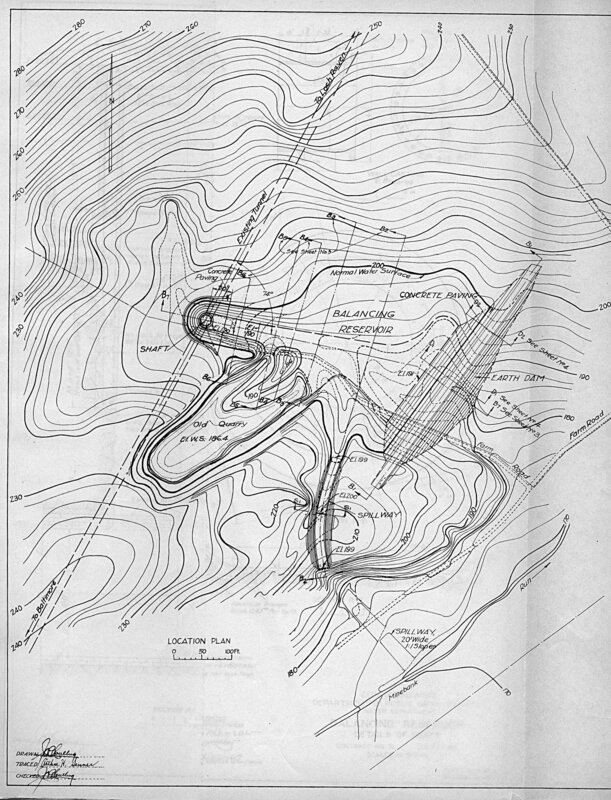 According to the Fullerton Reservoir Study Preliminary Design Report of 2000, the 1955 Geyer-Wolff Report recommended purchasing a tract of land in the Fullerton area – which the City of Baltimore did purchase – for the future construction of a water treatment facility, a water storage reservoir, and a water pumping station. 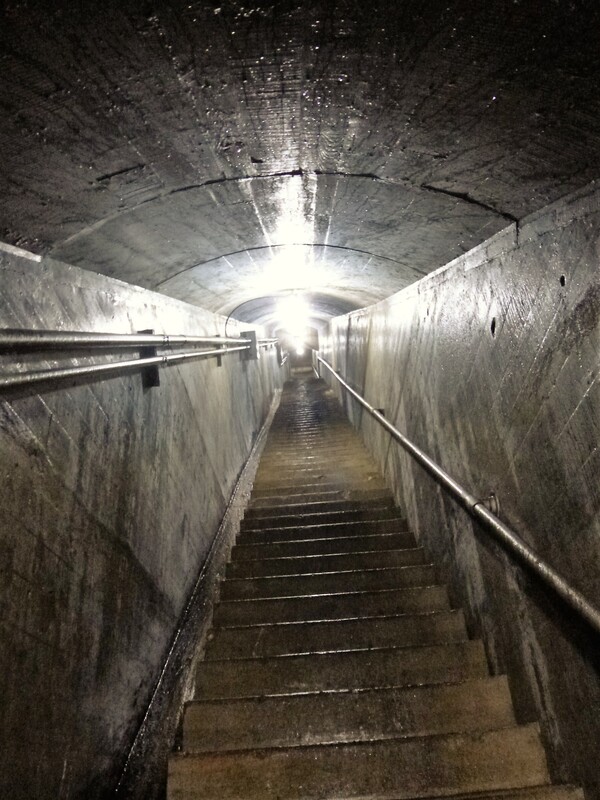 1962 – On November 23, the sinking of shafts for the Fullerton Tunnel began. 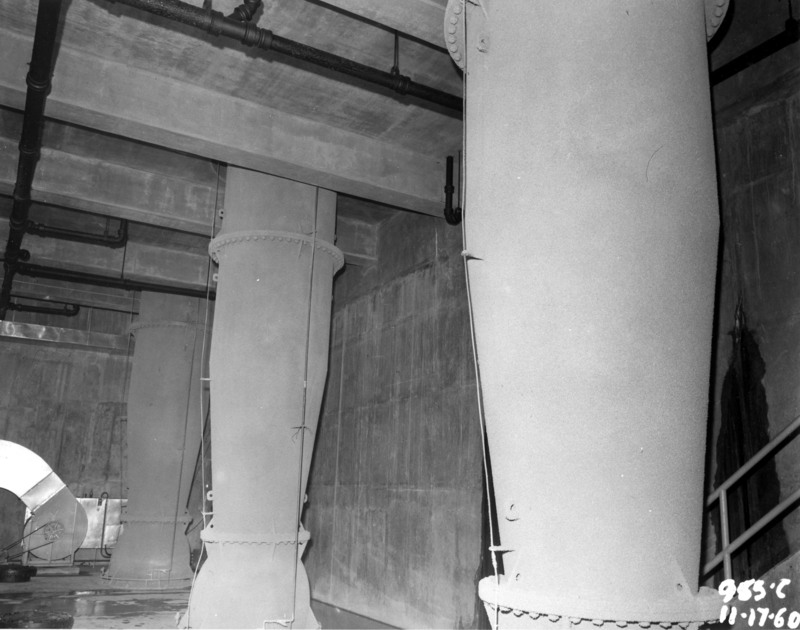 Both shafts were completed but no Fullerton Tunnel had been driven to date. 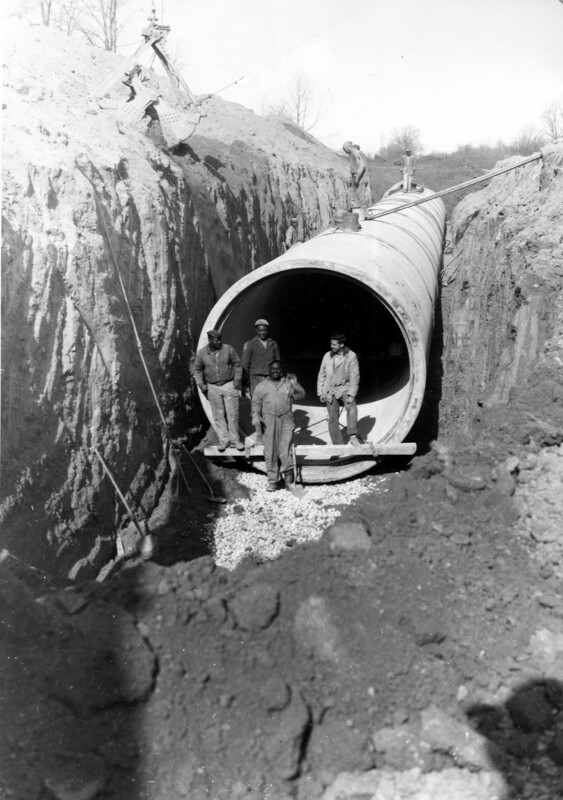 (Project, Section #6 Susquehanna conduit) Tunnel completed for Fullerton in 1963. 2006 – A two year study began on May 2006. Approval was given to construct a pilot plant to test the operation of the membrane technology. 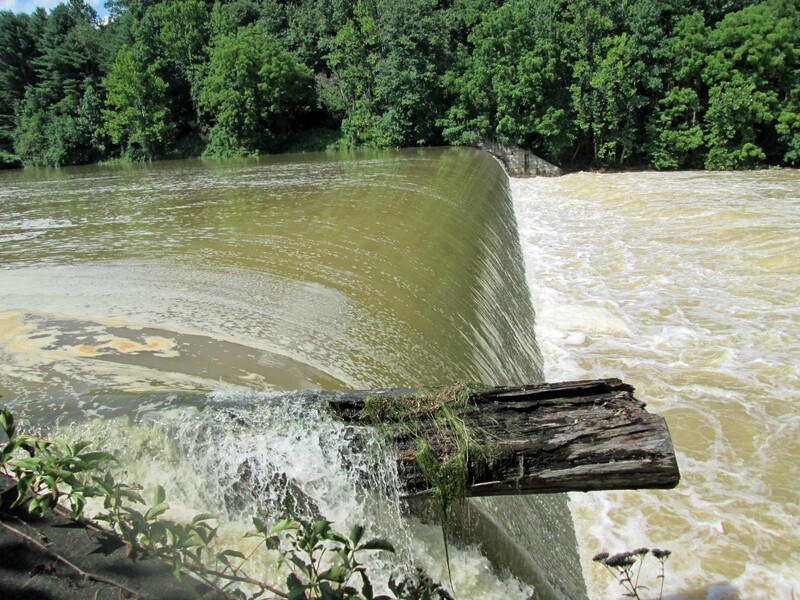 2007 – Reason contract on-hold is due to financial constraints caused by the artificial 9% rate cap; studies on the construction of the Fullerton Filtration Plant; continuation of the hypochlorite conversion project; and, the federal requirement to cover finished water reservoirs. 2008 – The draft of the Project Development Report for Fullerton, dated May 2008, was submitted for review and returned with comments. There were 4 alternatives in the review. As of October no method has been selected from the alternatives selected. Due to the economy at the time, the cost for each of these alternatives was in excess of $400M. The study had been extended to March 28, 2009. The cost proposal, received on June 23, was not accepted. The cost allocations to all concerned is still being worked on. 2009 – The Fullerton Filtration Plant construction had been delayed until 2017. If this project is ever resurrected, a new consultant agreement will need to be executed. 2010 – The contract for designing the facility could not be advertised until the cost allocation had been agreed upon. 2012 – Fullerton Water Filtration Study: The contract for designing the facility could not be advertised until the cost allocation had been agreed upon. The Fullerton construction had been delayed originally until 2017. The Fullerton Reservoir would need to be constructed first. The design contract was expected to be released for bid in 2013 under the Fiscal Year 2014 budget, with a design completion date set for 2016. Construction was expected to begin in 2017 and was to be completed by 2021. 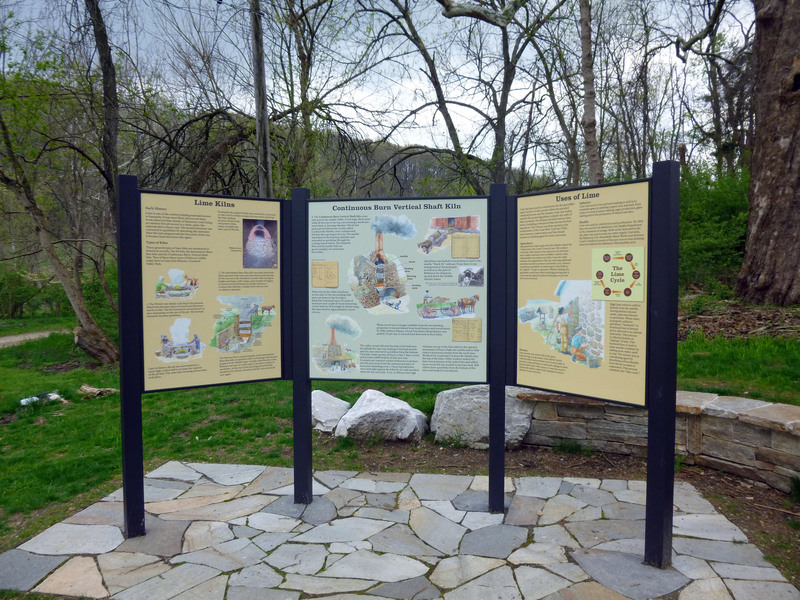 2014 – The Office of Environmental Compliance and Laboratory Services began gathering information in preparation of the contracts’ future pending design release. 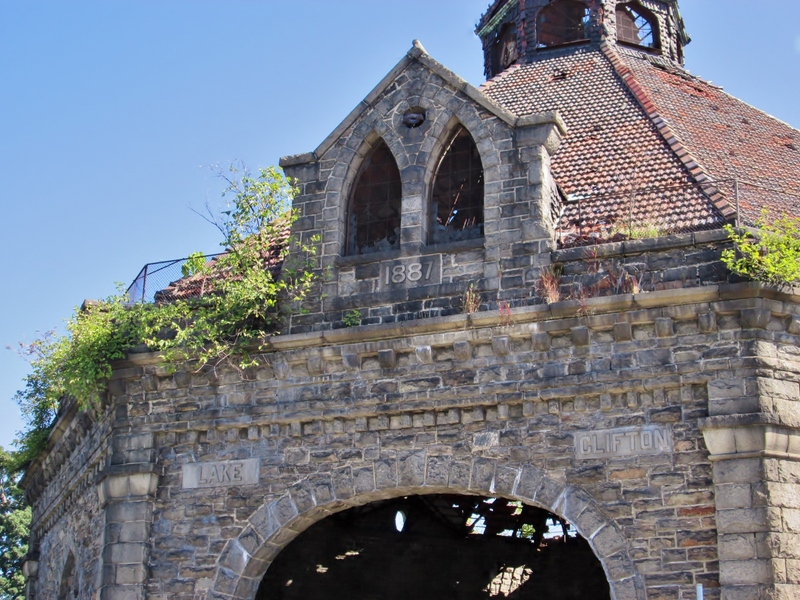 In 5-years the DPW of Baltimore expected the Fullerton Filtration Plant to be built and online thus clearing the path to fully renovate one of the two Plants at Montebello and shutting down operation of the second Montebello Plant. 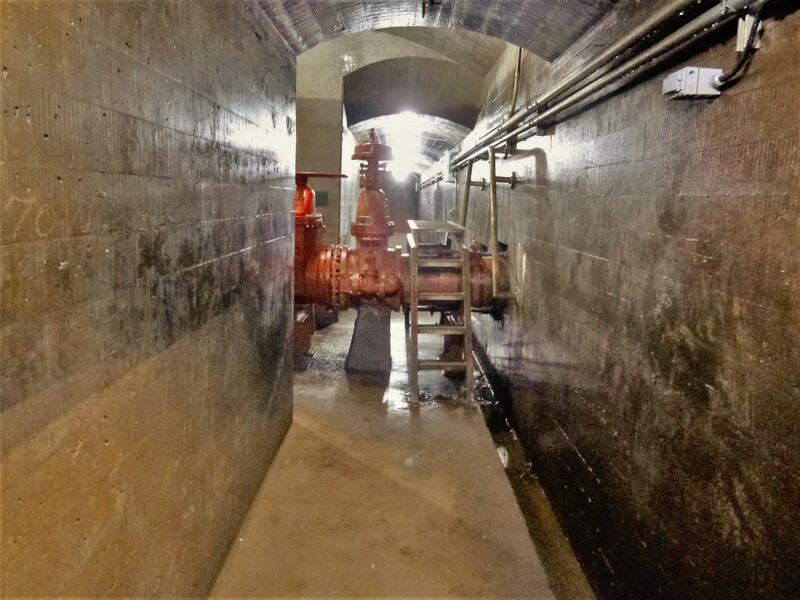 Readers Digest version: The 100 year old Montebello Filters keeps being patched up while the City and Counties fight over who is going to pay what, for a new filter treatment plant at Fullerton. Status of Fullerton – it will be built, sometime in the future. 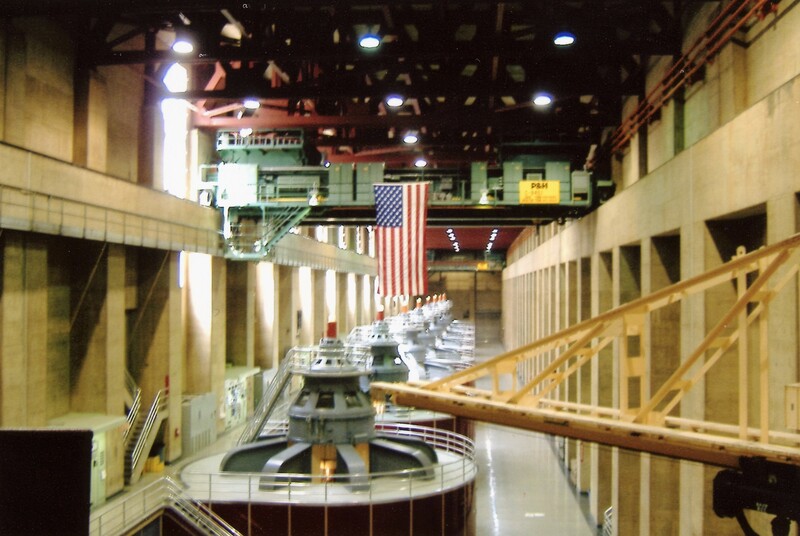 Back in the beginning of September, I posted some photographs of my visit into Liberty Dam. The watershed manager, Clark, took me down to the bottom. It was quite an experience for me. Before leaving I made the comment that the Conowingo Dam will be my next adventure, to go inside. 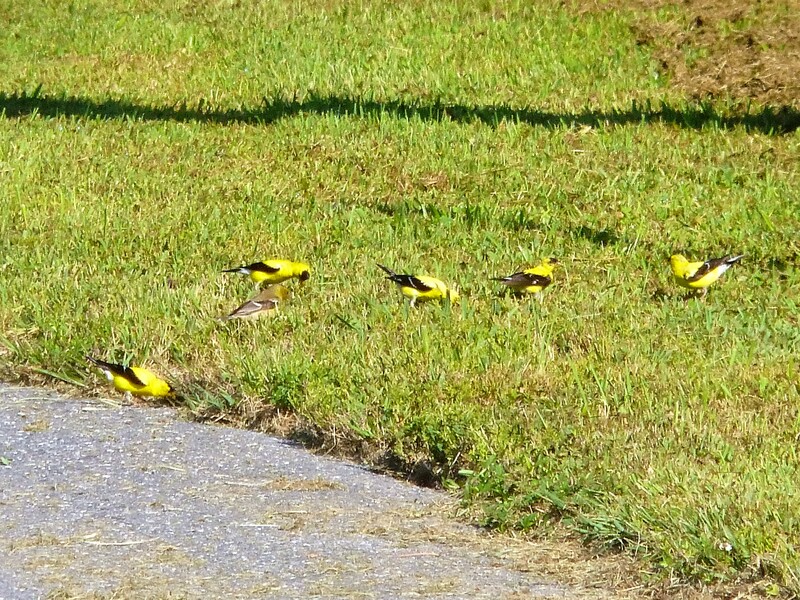 A couple weeks later, Clark sends me an email telling me that a group he belongs to, the Upper Western Shore Tributary Team, are going into Conowingo. That I should contact them and ask if I can go. A couple days later they sent me a yes answer. Very nice. 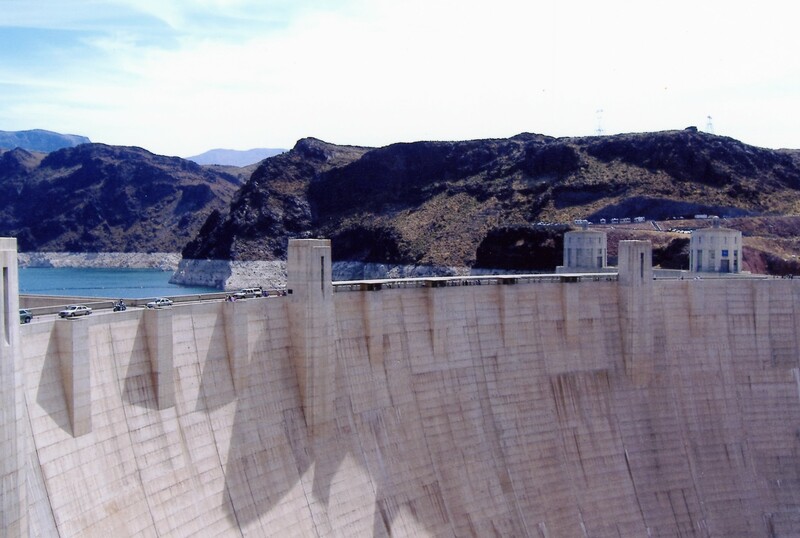 So, here are some of the dams I’ve gone into. 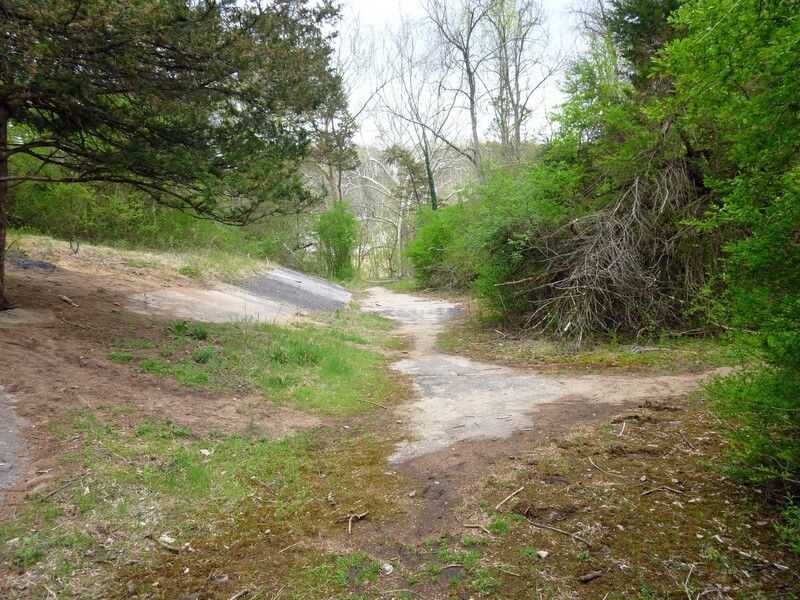 Not listed yet is Loch Raven. Not much to go into there but Clark said when they do the next inspection, I can go. 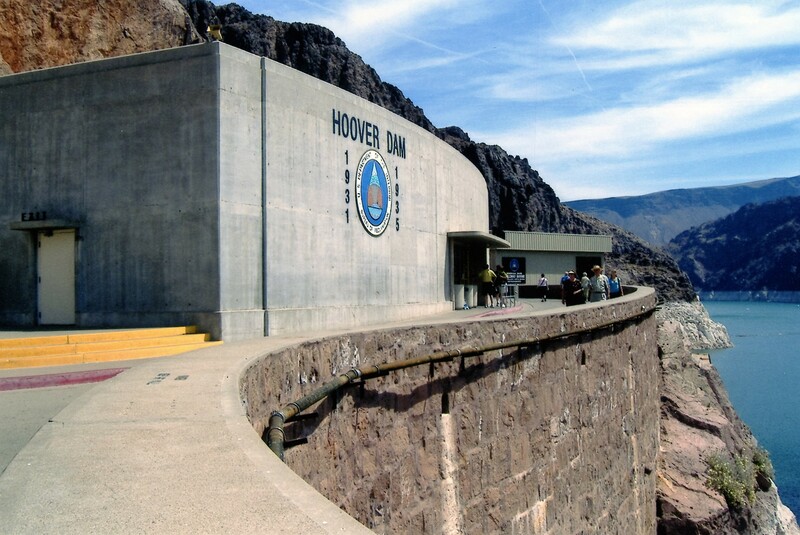 My first interior dam I visited was Hoover Dam in 2005. It was nice but a disappointment in that 3-1/2 years after 9/11, the lower portion was closed off. I only got to see the turbines from an observation deck. 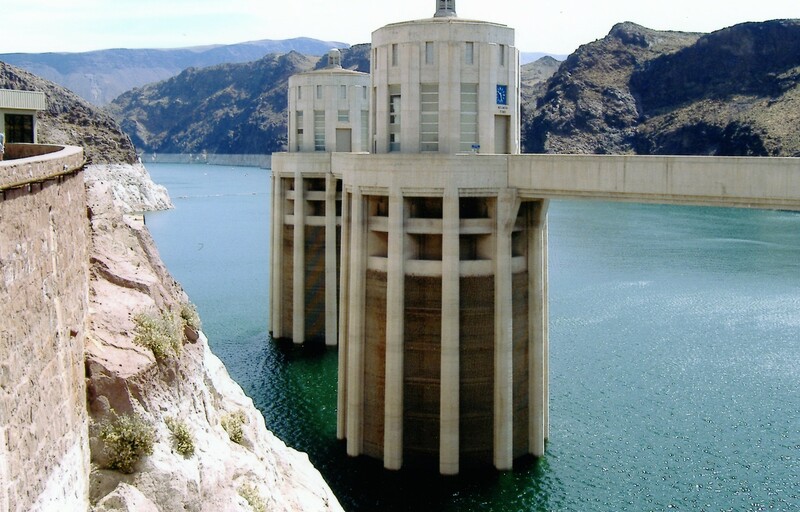 Intake structures – actually more impressive than the one at Liberty! Reservoir getting low…and yet they are still building new homes in the area. 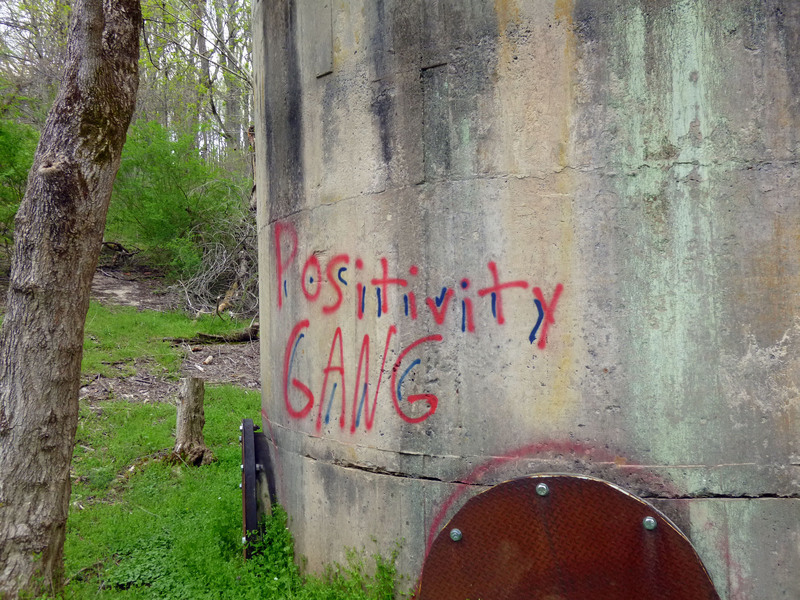 In 2013 I was able to go into Prettyboy Dam. What I like about this view are the memories of my father taking me down to the bottom – concrete slab – to go fishing. We had to go down the steps, then climb over a fence and trek down the hillside to get to the fishing spot. 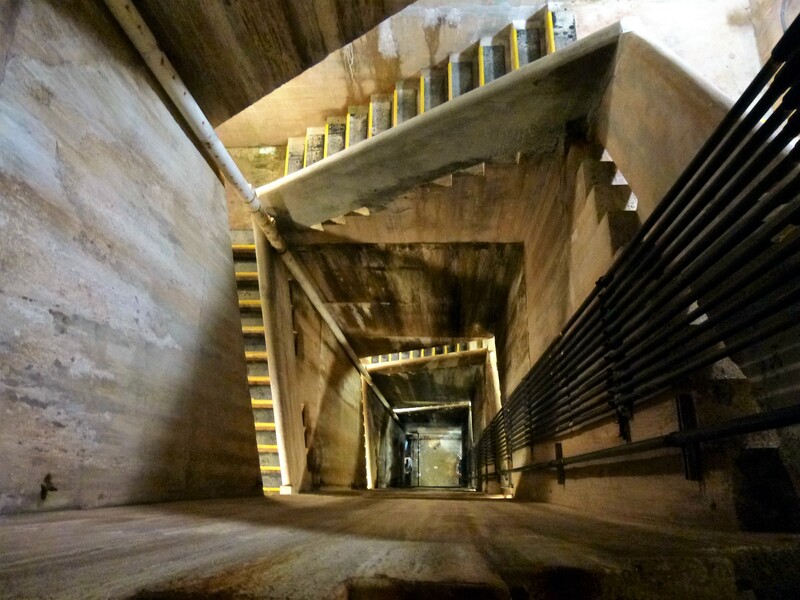 Time to head to the bottom of the dam. More steps. I was able to go out onto the deck, where the valve was spewing forth water to my right. This is one of two fountains that don’t work. Contractor said it would cost over $100k to fix. Director says no. The 45 degree pipe is what feeds the fountains. 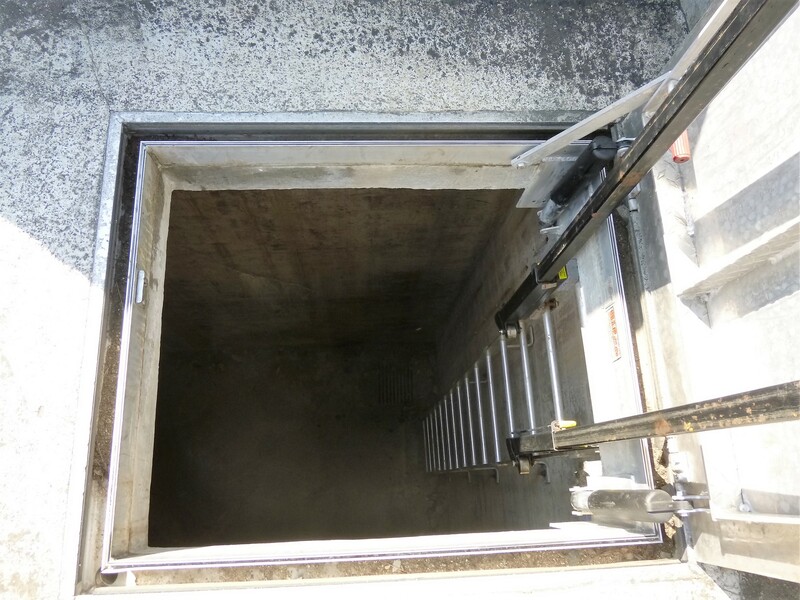 It goes under this floor into a chamber and then into more concrete. It is collapsed there and this is why it would cost so much to fix. A little too well. I hope this guy shows up again for the tour! …I just love my job. I love that I get to see and do the things I do – research! Headed up to Liberty Dam to look for some shaft openings, to do a possible tunnel inspection sometime in the future. 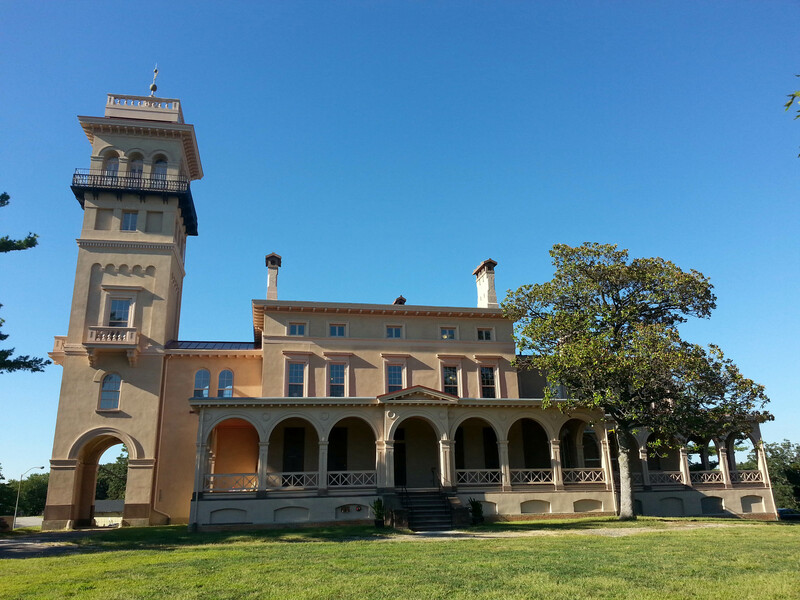 While waiting for my tour guides, I roamed around a bit and took some photographs of the property. 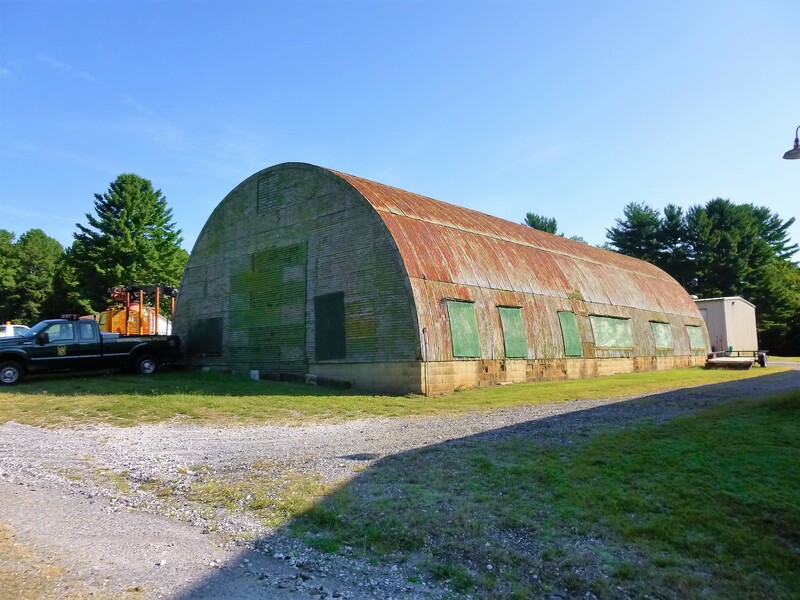 This looks like the old hut the engineers used when building the Ashburton plant. Blue highlights on this contraption. Getting a little bored here. Yes! First stop, the intake structure! Liberty Road bridge. 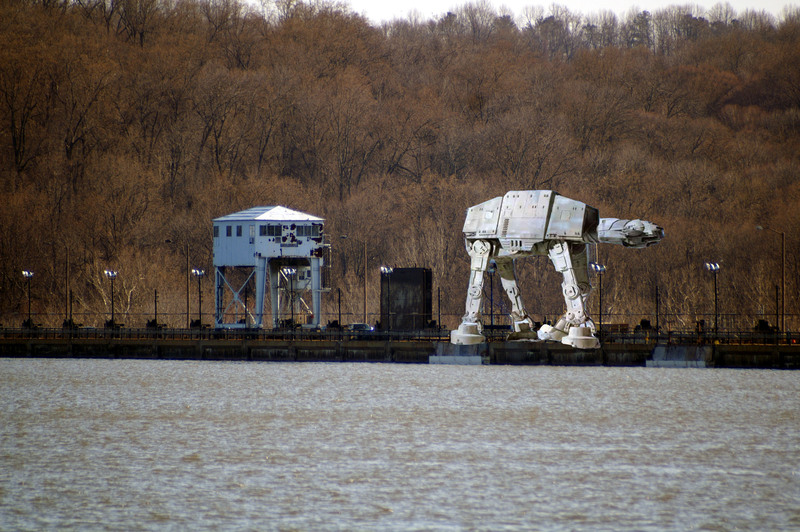 I asked about kayaking here – need a permit and a 12′ kayak. Mine is 10′. 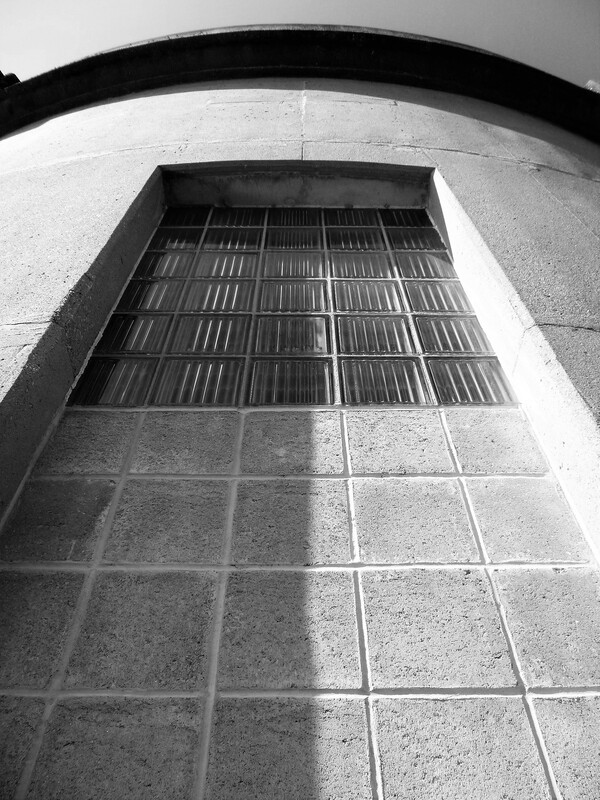 I like the glass block. The valves. Looking for an opening to enter the conduit to Baltimore, for the inspection. Done at the intake, headed to the dam. Damn! 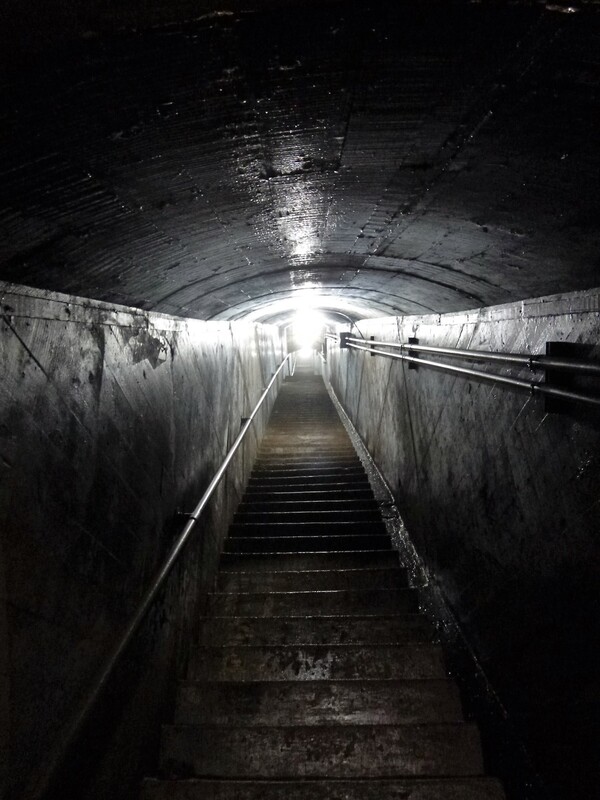 I thought there was going to be an escalator or an elevator to get to the bottom! Heading down. Does anyone else have a problem photographing with LED lights? Looking up from the bottom. No matter if I used a flash or not, the LEDs were too bright. This is dead center at the bottom. 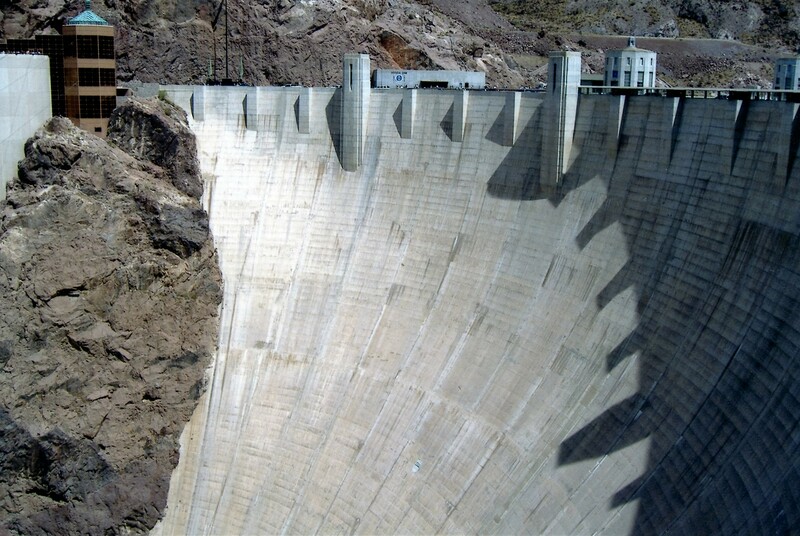 It was a relief opening when they built the dam. As can be seen here during construction – the relief opening. 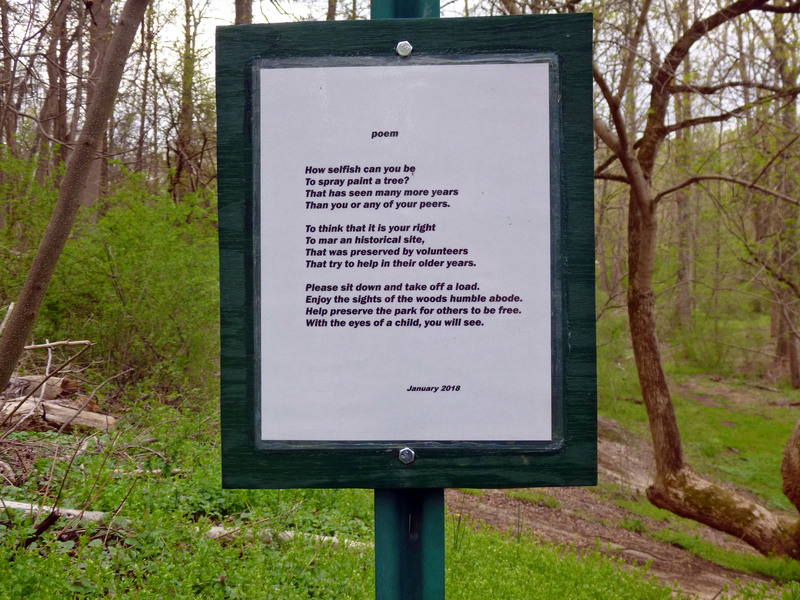 Nice day for a hike thru Cromwell Valley Park. Always like listening to these guys speak on the history. Learn something new every time. The volunteers here are a great group of people who deserve a lot more credit than they get. View from the observation deck on top of the dam. Water level is dropping again. 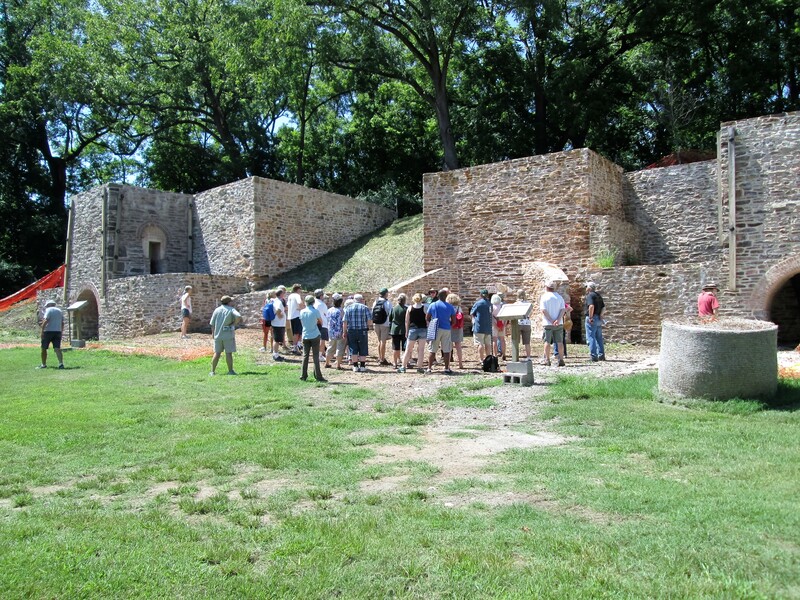 First stop was the restored lime kilns. Big difference since 2006. Nice turnout for a history talk. 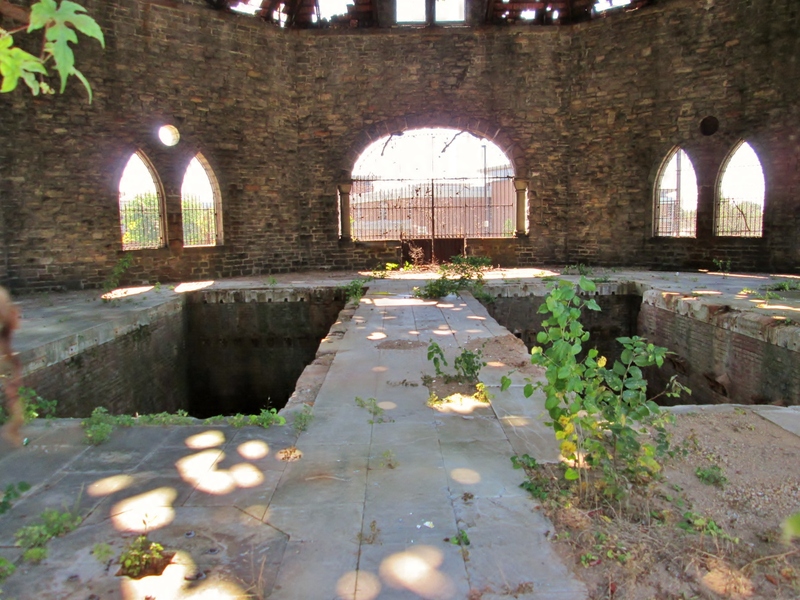 1869 – 1870 – The City suffers a severe drought in the summers. 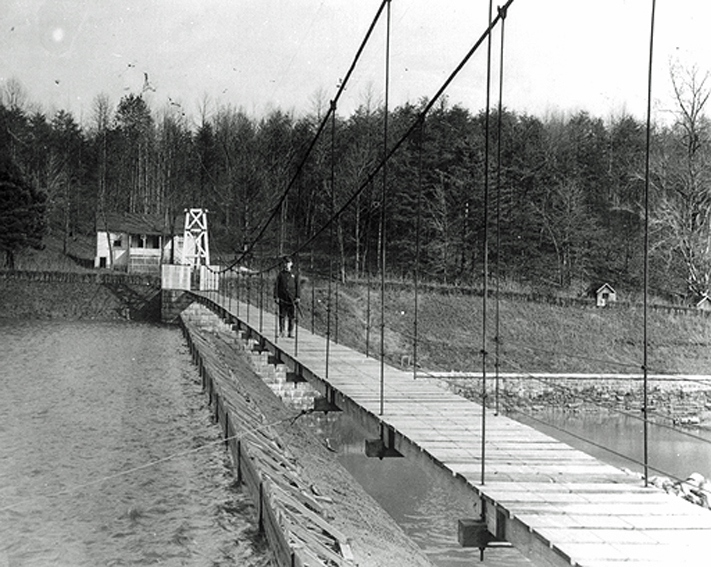 It was concluded that the Jones’ Falls water supply was not sufficient for the future. 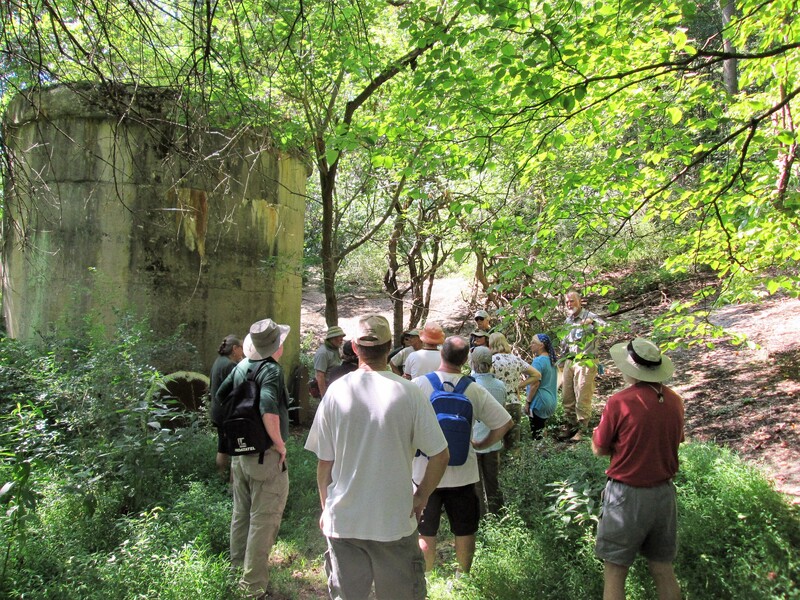 After an investigation for a future water source, it was decided the source would be the Gunpowder Falls. 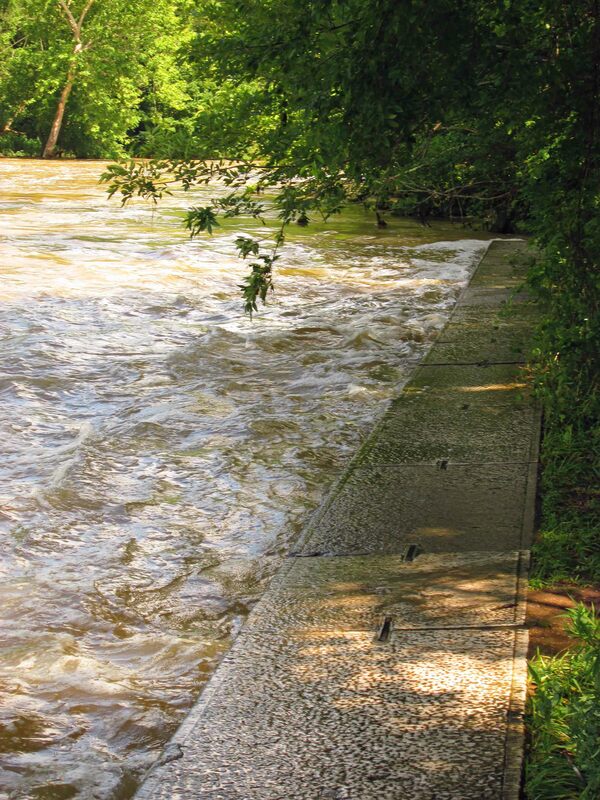 Noting that due to the severe drought of this past year (1869), Engineers Curran and Martin went to the Great Gunpowder Falls to gauge its flow. In twenty-four hours, one hundred and sixty four million plus gallons flowed, which is twenty times more than the present supply. Following the drought was a heavy rain in October, during the farmers’ plowing of their fields. 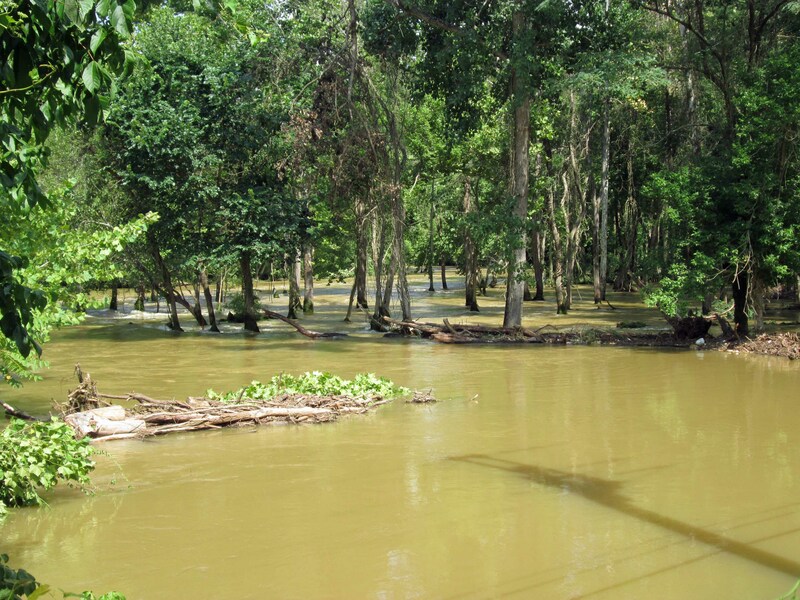 The runoff caused Druid Lake to be too muddy for the consumer. It was not fit for use for twenty-six days. 1872 – Notwithstanding the confident assertions and opinions of the advocates of the Jones’ Falls supply that there would be no want of water at any time after its introduction, in the severe drought of 1872 it became apparent that unless the Gunpowder was resorted to, Baltimore would encounter the risk of a water famine in every dry summer. 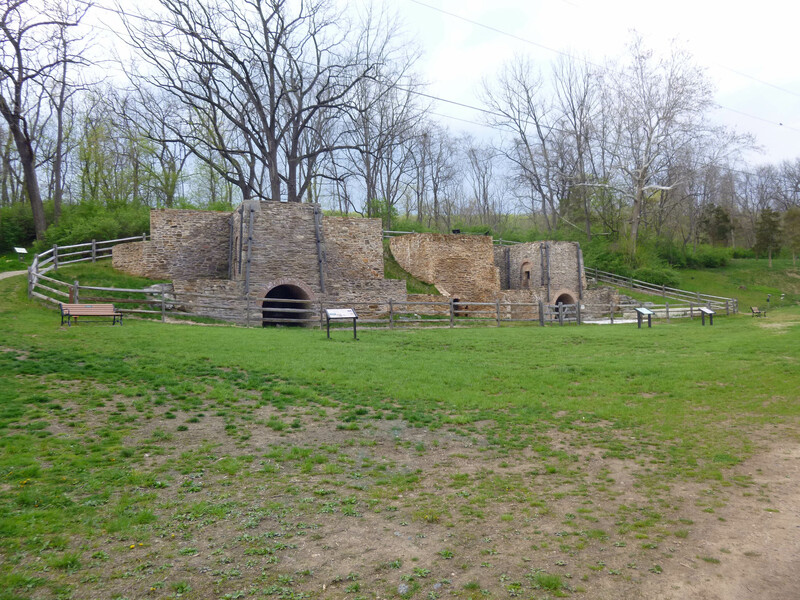 1877 – The temporary supply pumps (on the Gunpowder) were needed this year due to a drought. 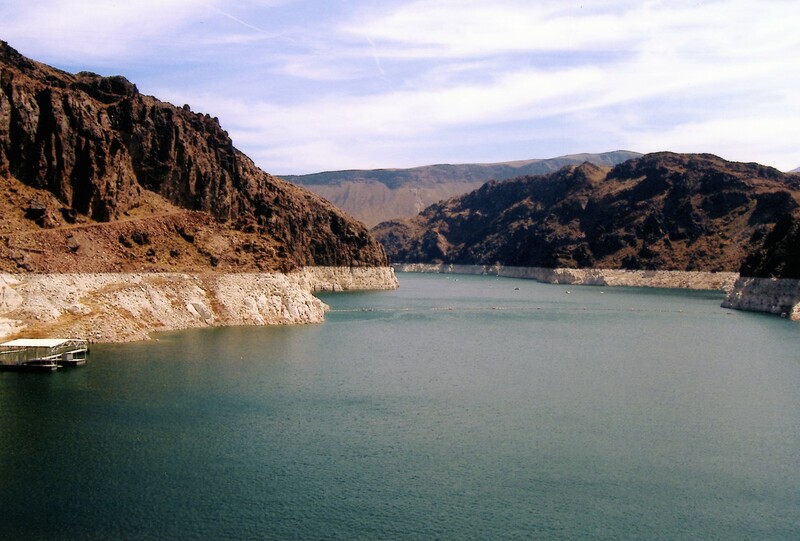 1910 – Worst drought, only 418 million gallons left in reserve storage, depleted 1.06 billion gallons of reserve storage. 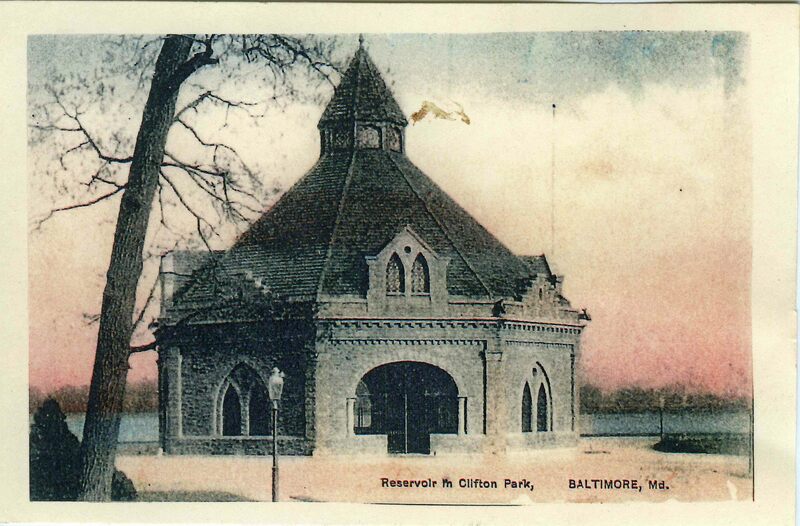 The year 1910 recorded the second drought since the City began using Loch Raven water as a water source. 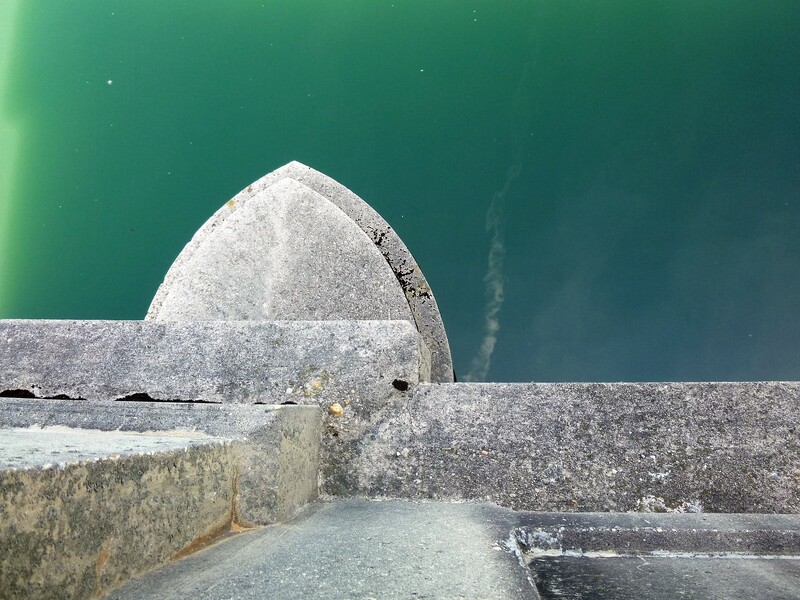 The top photo shows the baffle boards on the original 1881 dam. 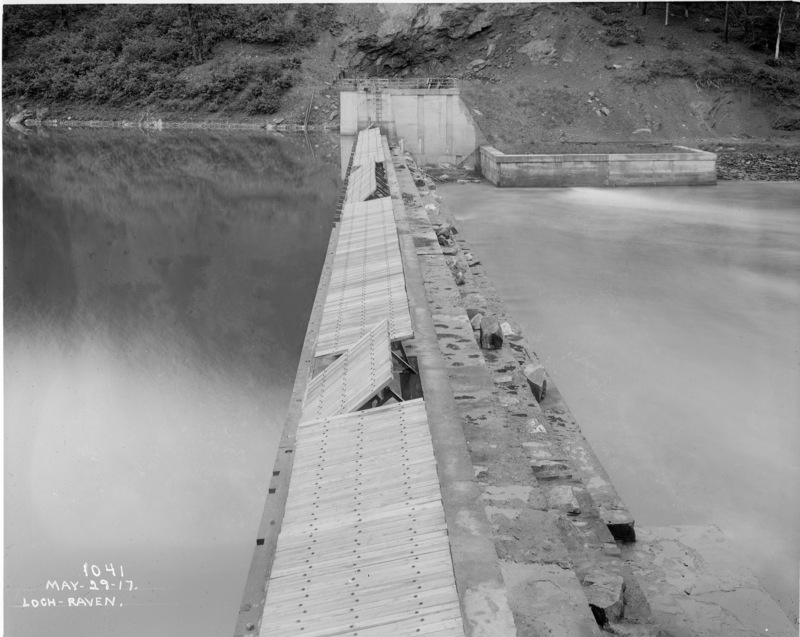 The second photo shows that up until 1917 they still used the boards, this time on the second dam. 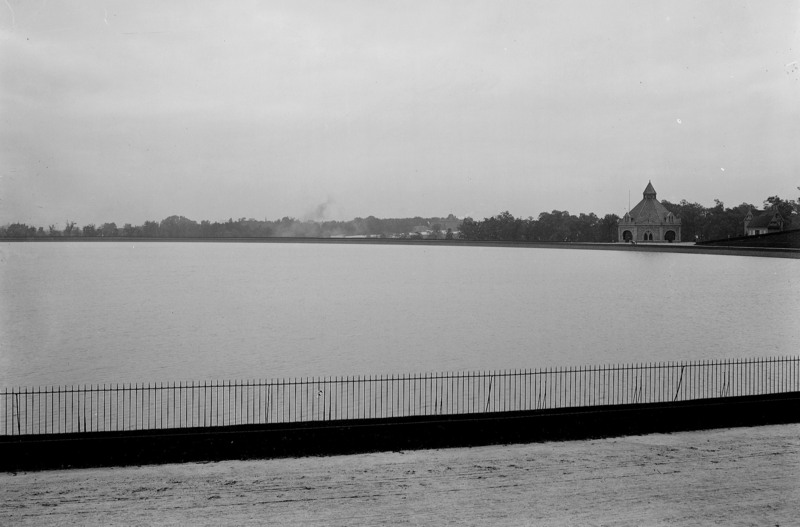 1914 – Recorded the third drought since the City began using Loch Raven. The average daily water consumption for the year 1914 was 72.677 million gallons. It was estimated the total population supplied was 593,000. 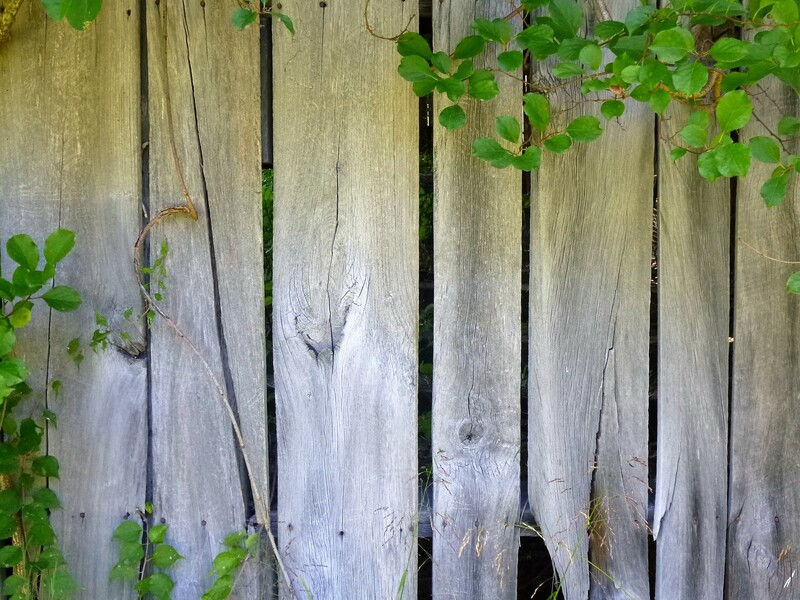 1929 – 1930 – There was a long continued drought this year with occasional spells of unusually hot weather. The lack of rainfall had actually begun in 1929. 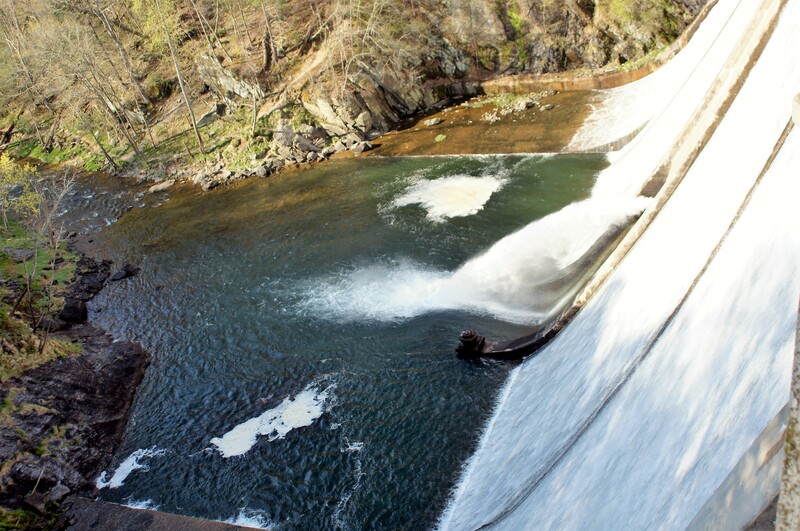 As of December 31, the Loch Raven Dam was at an elevation of 227.2 feet A.M.T. (Normal is 240’) The typhoid death rate had risen to 3.3 per 100,000. Because the typhoid death rate was rising in most of the eastern states, it was concluded that the prolonged drought was the contributing factor. 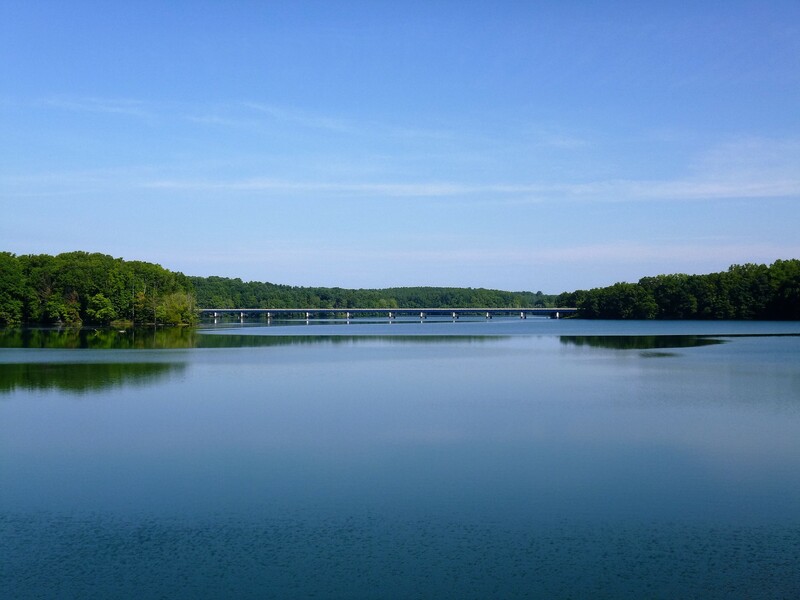 As a result of the long drought, low flow of the Gunpowder River, and the depletion of the Loch Raven Reservoir, the Water Department decided to reclaim the water used for washing filters. It was estimated that 2,000,000 gallons of water could be saved each day. 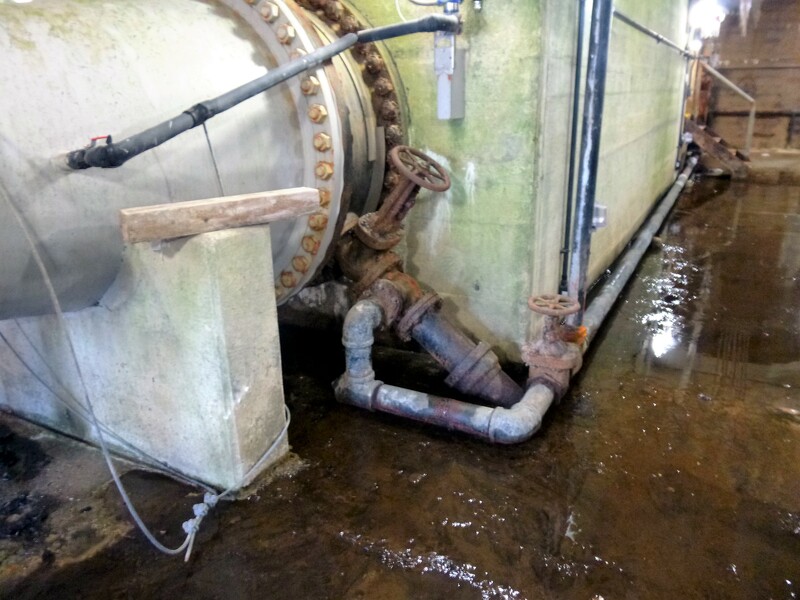 The water was pumped from the washwater reservoir and pumped into the raw water supply tunnel through the surge tank. 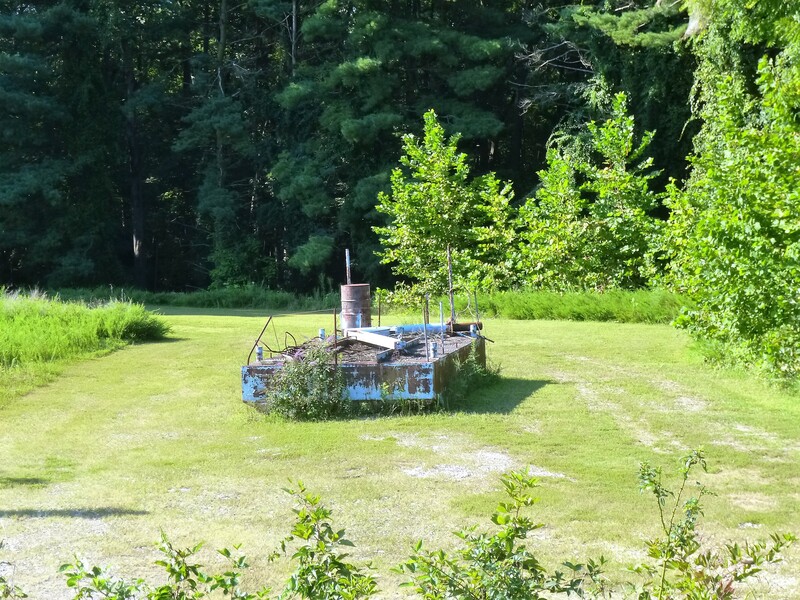 (This building is still there, covered in overgrowth, pumps having been removed years ago). 1931 – The drought continued through the year 1931. 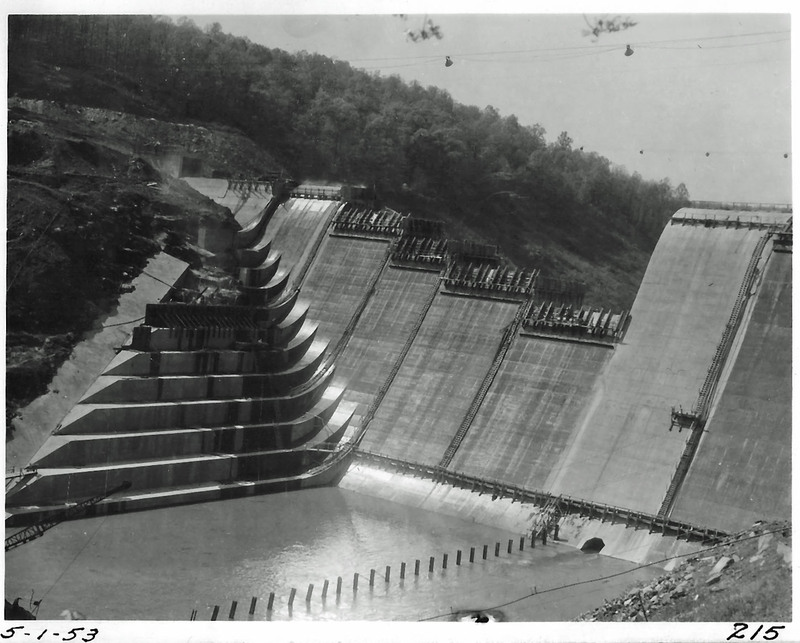 As of December 31, 1931 the water level at the Loch Raven Dam was 15.5 feet below the crest which is 2.7 feet lower than at the beginning of the year. 1932 – The drought which started in July 1930 and continued through the entire year of 1931 came to an end in 1932. 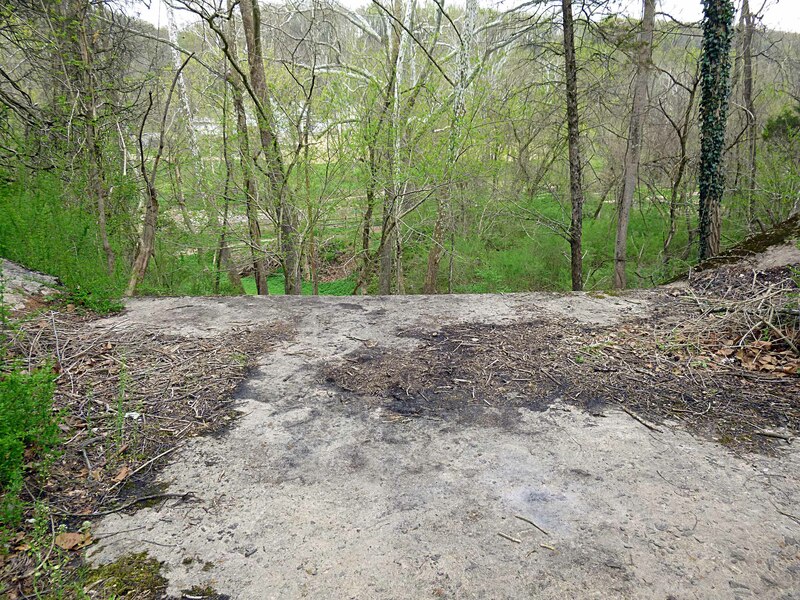 By May 14, 1932 the water finally ran over the crest of the dam at Loch Raven; and, on May 15 the water restrictions on the public were removed. 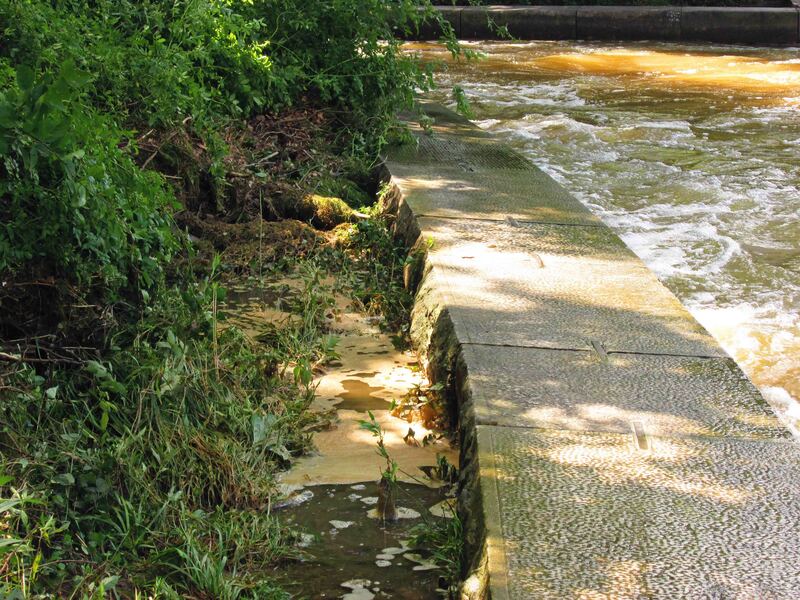 On May 14 when the water started overflowing the crest at the dam, the preparation plans to use an emergency water supply and filtration plant at Avalon was discontinued. 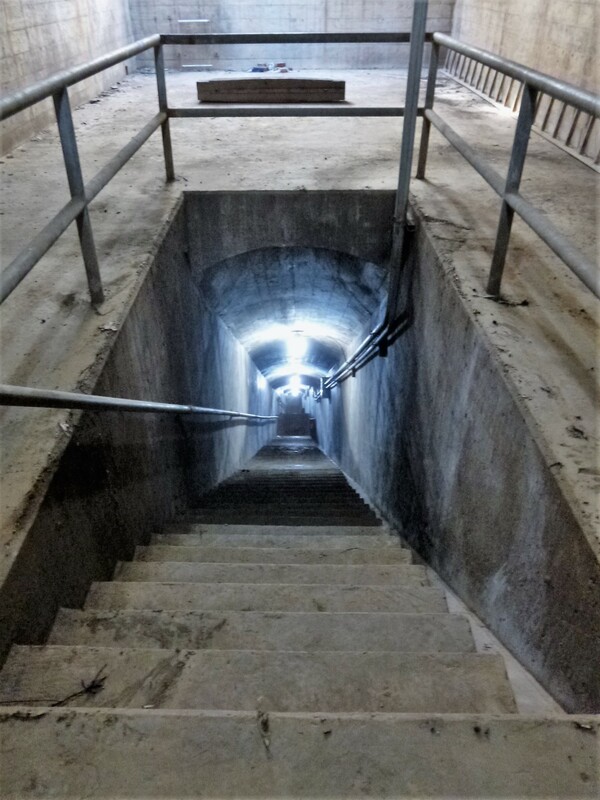 At Montebello, the emergency pump that was used to recycle washwater by discharging the washwater back into the raw water tunnel was discontinued when the water flowed over the dam. 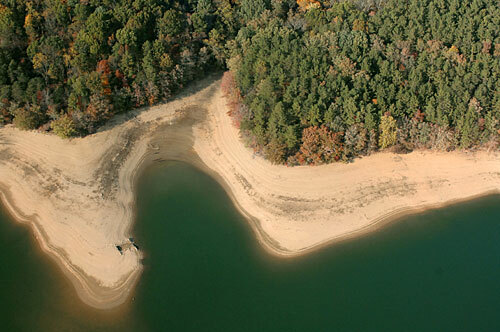 1941 – There was a prolonged drought which caused a great drop in the Loch Raven Reservoir. 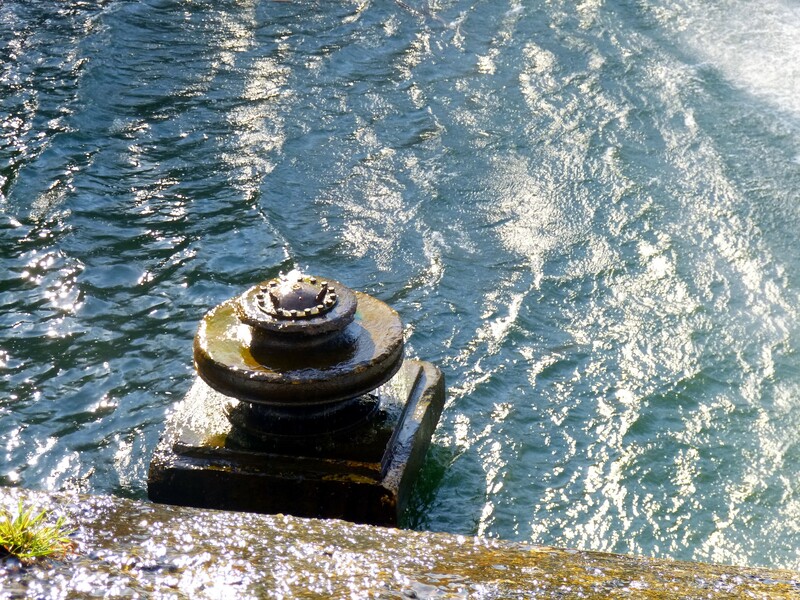 It was then necessary to open the valve at the Prettyboy Reservoir (Dam crest elevation 520’). 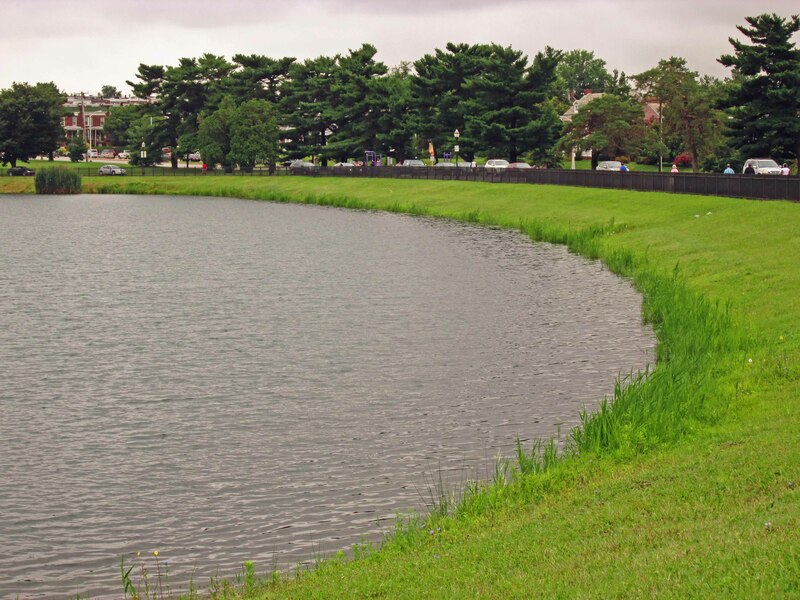 This was the first time that it was necessary to open the valve at Prettyboy to supply water to Loch Raven. 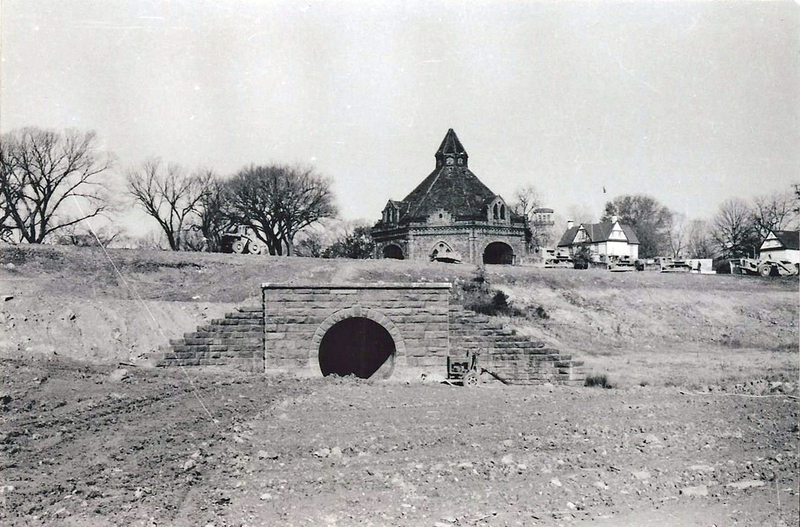 The Prettyboy Reservoir construction had been completed in 1933. 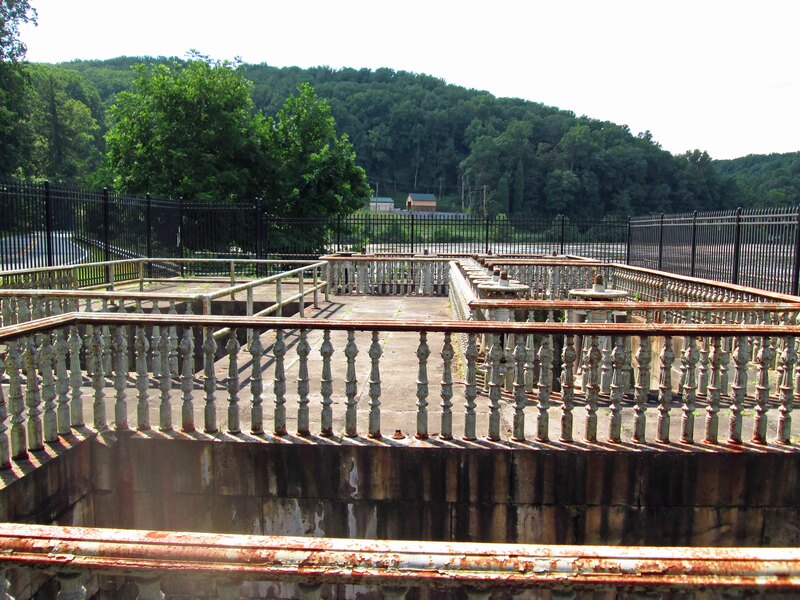 The valves remained opened until the spring rains came in 1942. 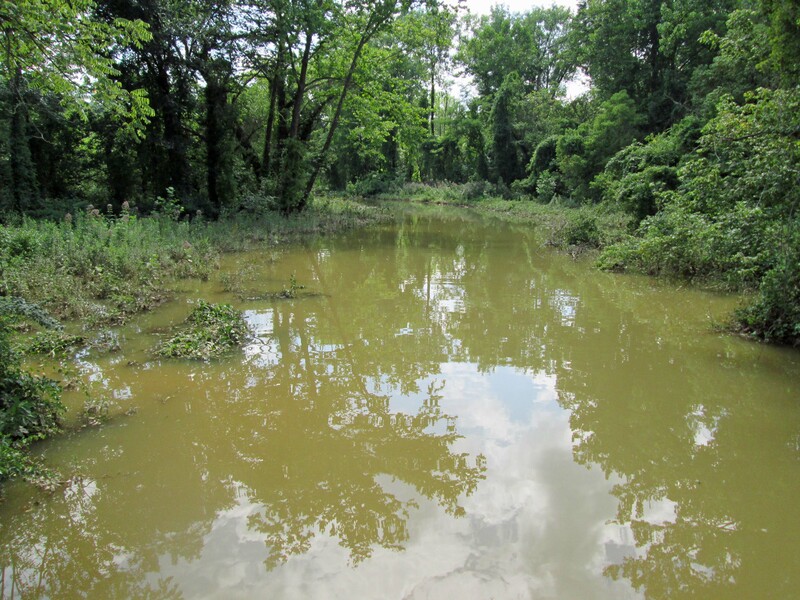 Water quality improved from Prettyboy because of the aeration affect while the water traveled downstream. 1943 – In addition to the water consumption by the war industrial activity and the general population, there was a drought condition throughout summer and fall which in effect set a new daily water consumption record of 165.19 million gallons. 1955 – 1956 – The drought that began in December 1955 ended in February 1956. 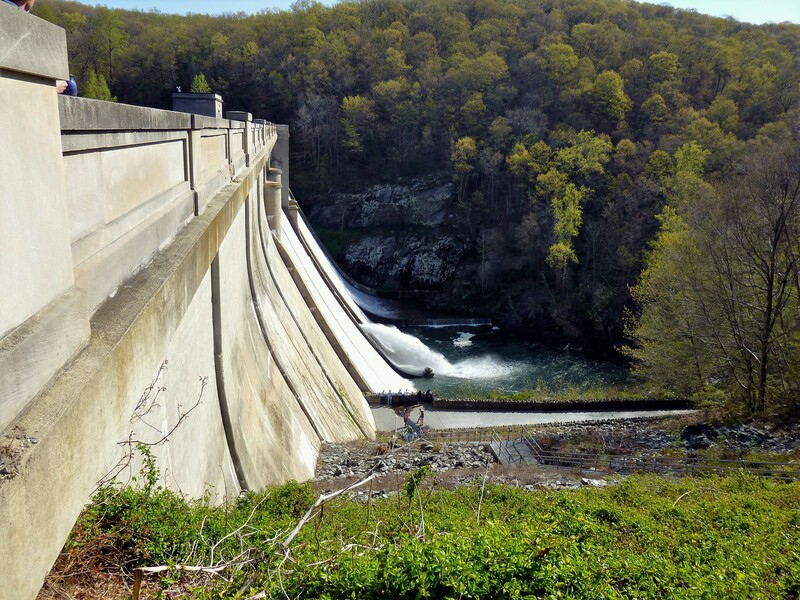 Liberty Dam (Dam crest elevation 420’) did not relieve effects of the two year drought. Mayor asks for study on scientific rain making. 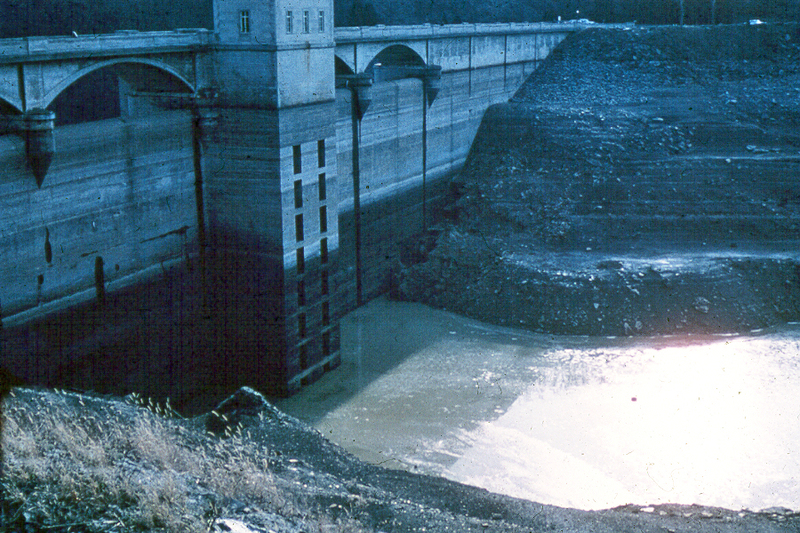 1965 – By the end of the year, the combined water storage of the three reservoirs was at 36.8% of full capacity. 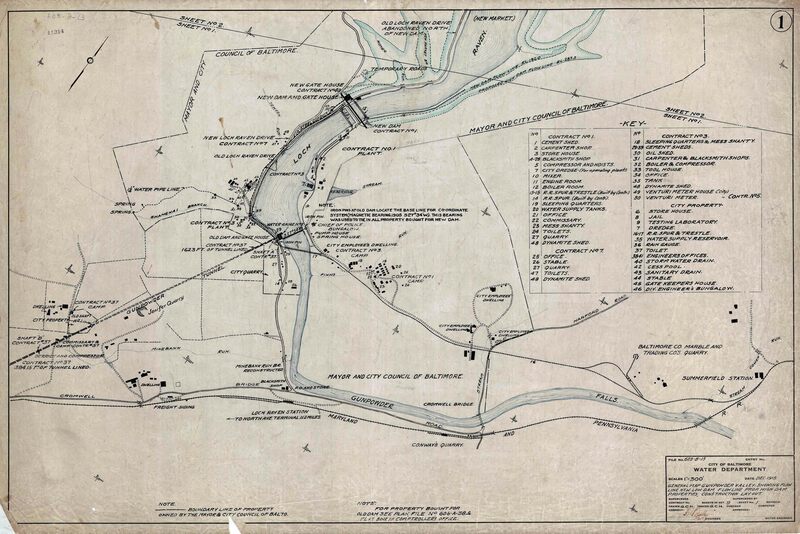 This serious deficiency led to the decision to activate the Susquehanna line as soon as the Susquehanna project was completed. The dedication of the completed Susquehanna project was being scheduled for January 28, 1966. 1966 – Due to the continuing drought conditions, it became necessary by August 1966 to supply water to a part of Harford County via Winter’s Run. 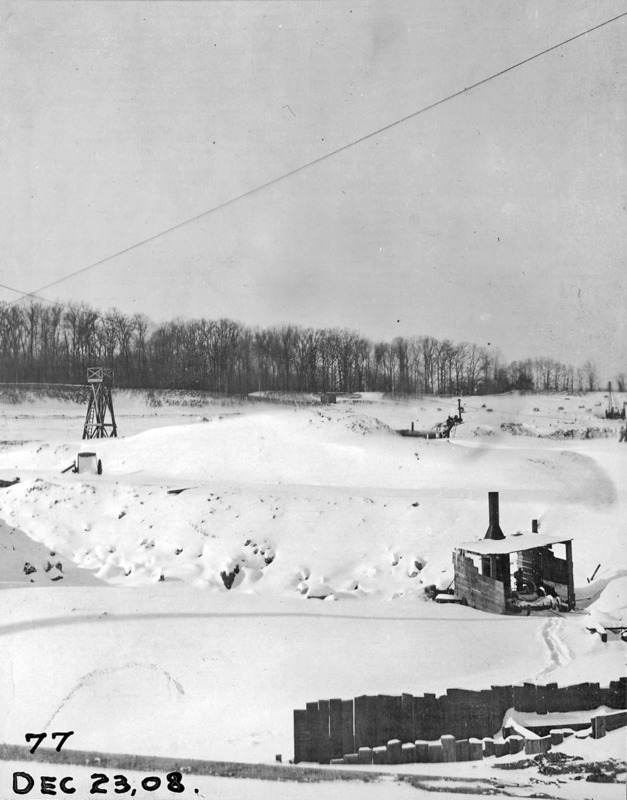 The water supply was accomplished by installing an emergency connection to the Susquehanna pipe line; and installing a meter and control valve set to discharge 1 MGD to Winter’s Run. 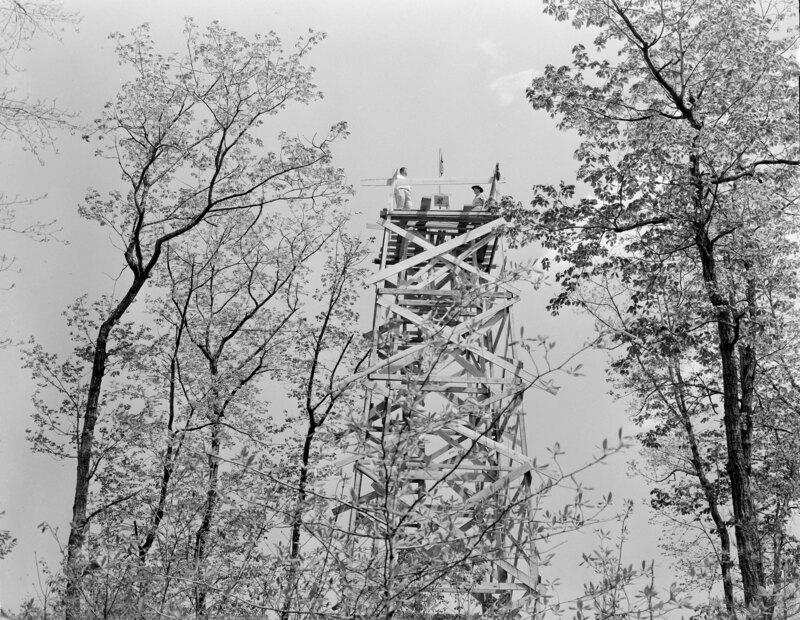 The temporary connection was activated on August 5, 1966 through August 15, 1966. 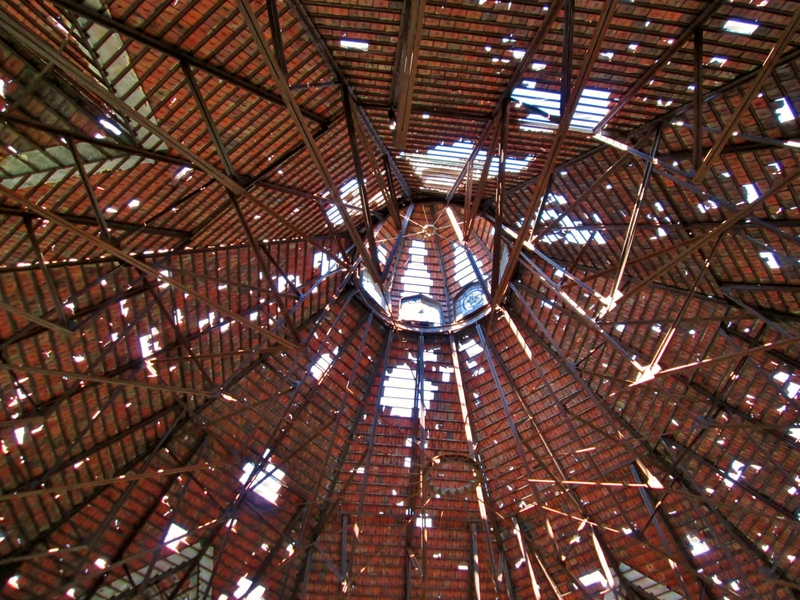 The temporary connection was then dismantled. 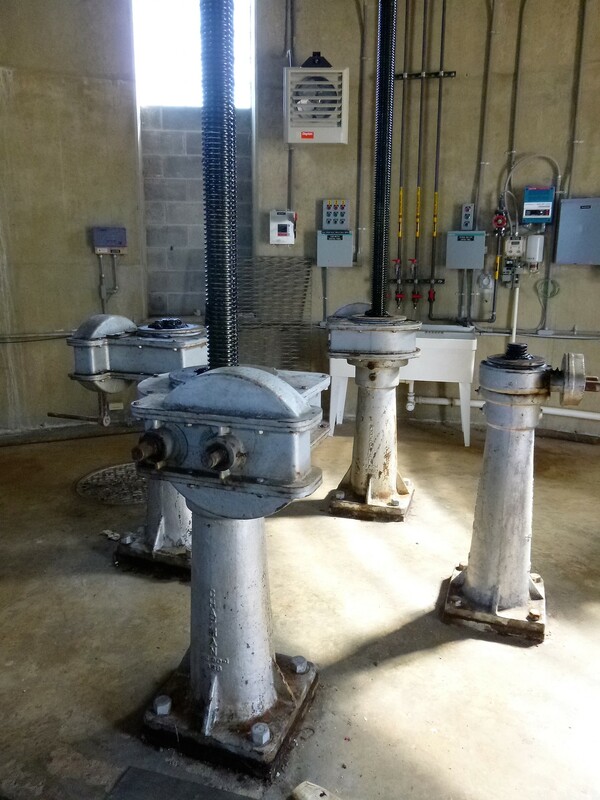 Because of the low water level in Loch Raven, the low lift pumps at the Montebello Raw Water Distribution Center were operated from January 1, 1966 until February 21, 1966. 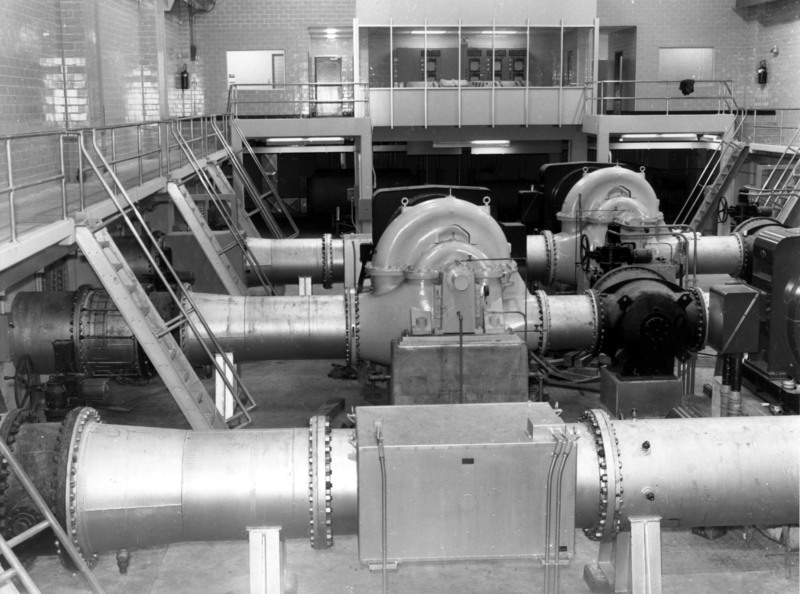 On January 28, 1966, the Deer Creek Pumping Station was dedicated by Mayor Theodore R. McKeldin. 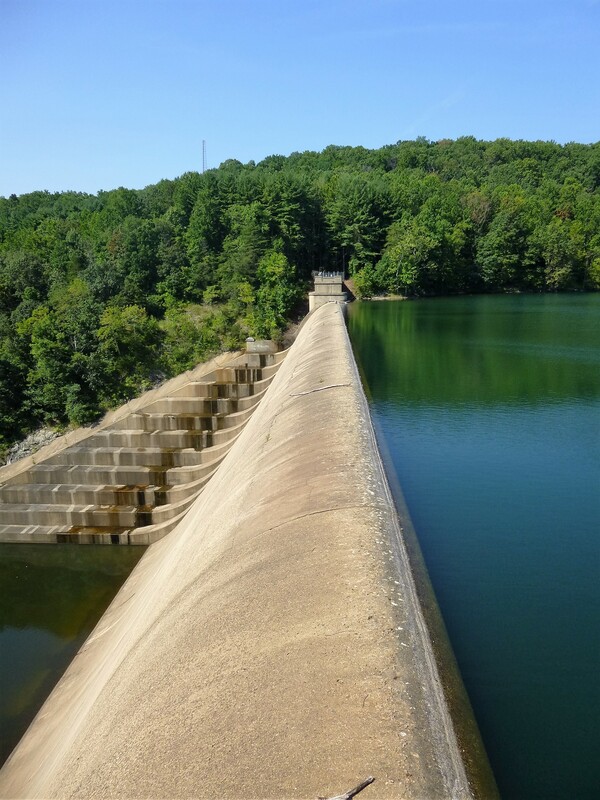 By June 30, due to the drought conditions and water use, the raw water reservoirs were as follows: Liberty – 14.75 feet below crest; Loch Raven Reservoir – 7.2 feet below crest; and, Prettyboy Reservoir – 29.27 feet below crest. 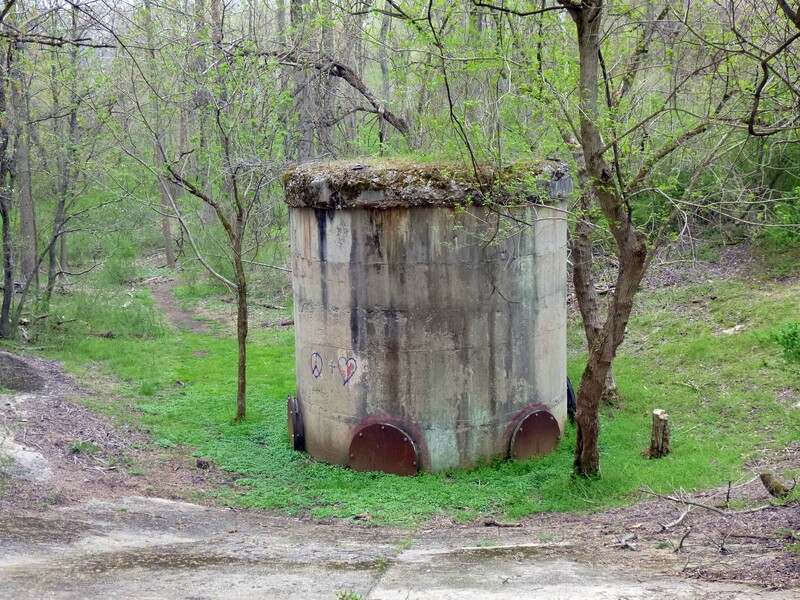 On March 28, 1966 the Bureau of Water Supply initiated the Montebello Plants to begin withdrawing 158 MGD of Susquehanna water via Deer Creek Pumping Station in an attempt to halt the decline and firm up the raw water reserves of the Gunpowder and Patapsco. 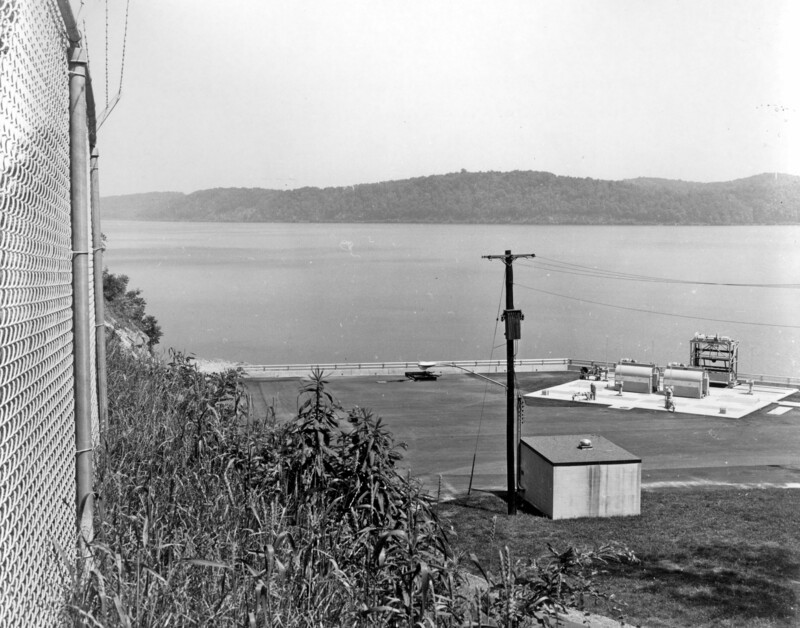 By March 30, 1966 the Philadelphia Electric Company had opened the control gates at the Conowingo dam thereby dropping the water level; and, thereafter the Montebello Plants were restricted to withdrawing only 112 MGD from Susquehanna. 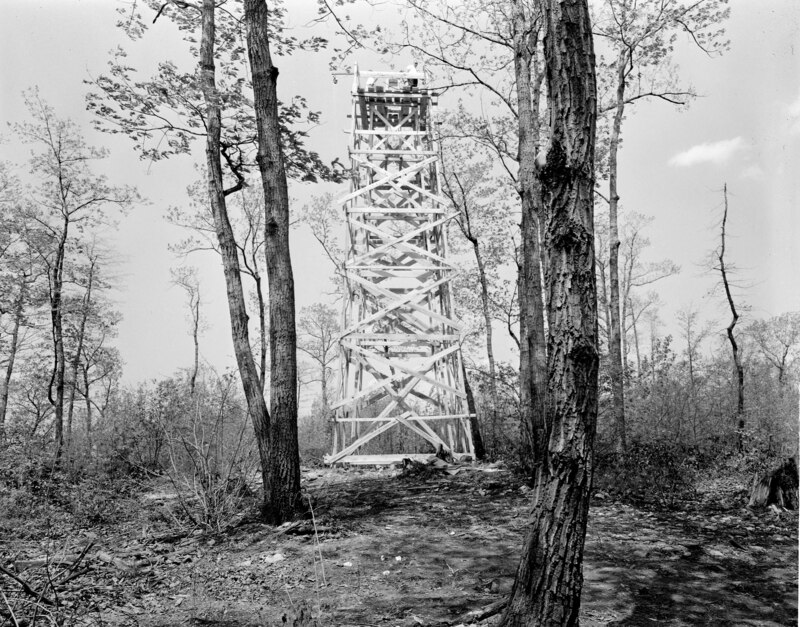 On May 25, 1966 the elevation at Loch Raven reached 236.9 feet and pumpage from Susquehanna ceased. 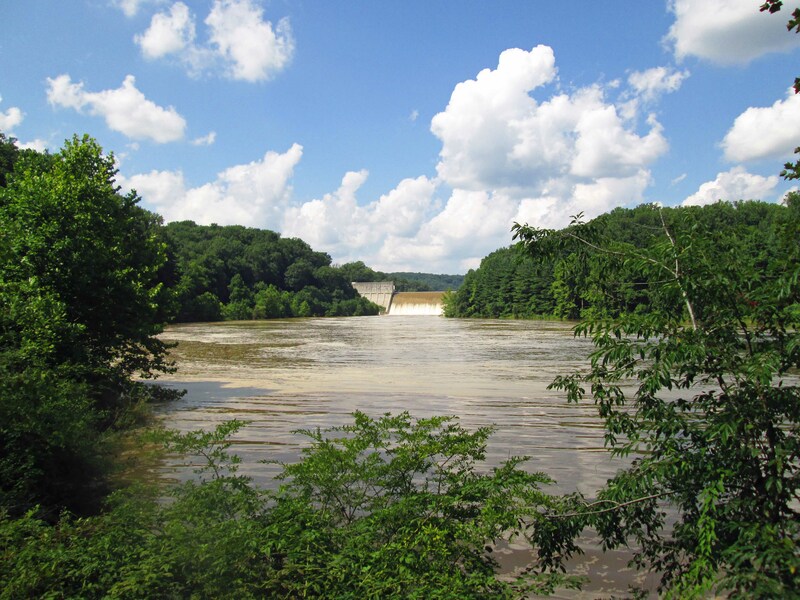 On June 10, 1966 one 56 MGD pump at Deer Creek Pumping Station was reactivated when the Loch Raven Reservoir dropped to elevation 234.75 feet. 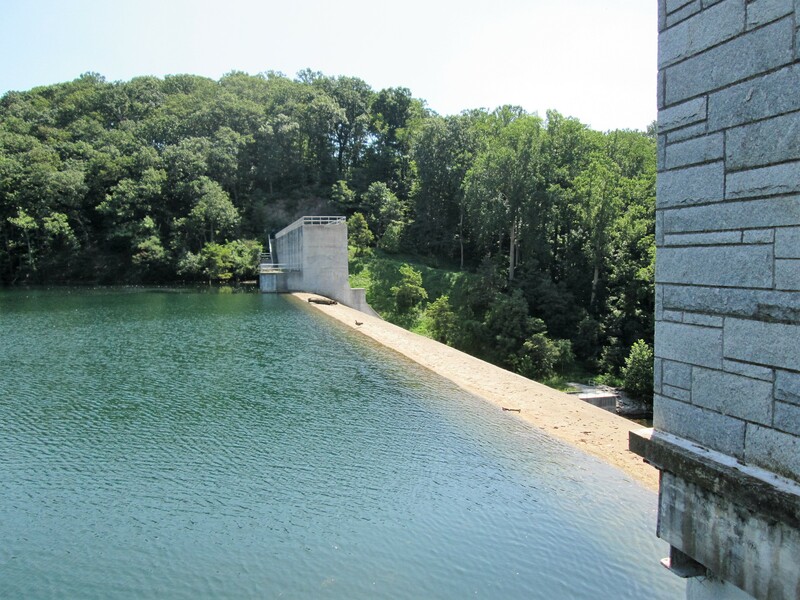 The water level continued to decline at Loch Raven and a second pump at Deer Creek Pumping Station went online on June 22, 1966. 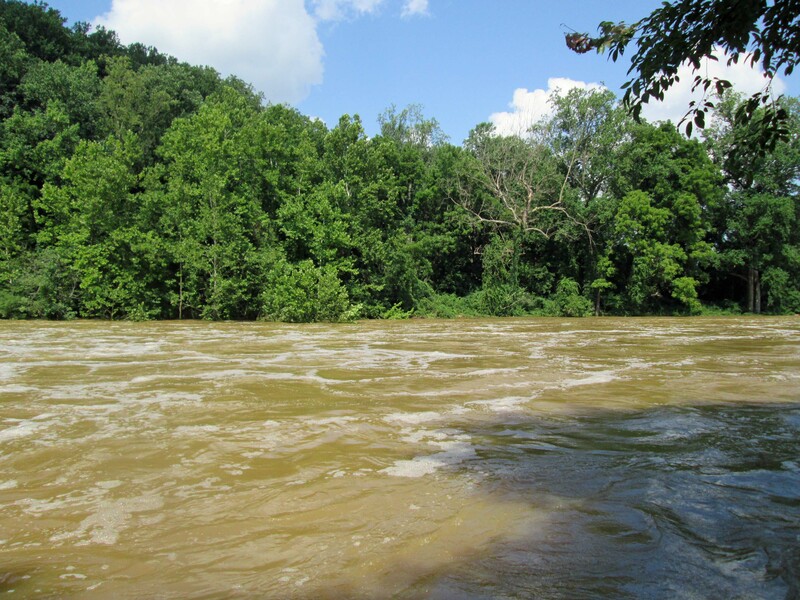 On November 16, the Susquehanna water was shut off because the water hardness had reached 200 ppm and the customers had been complaining about the quality of the water. 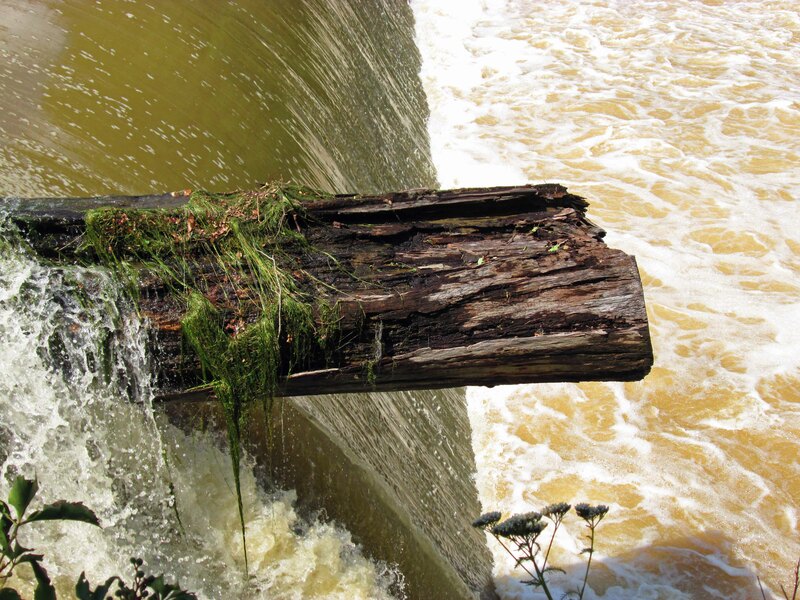 On December 20, 1966 the Montebello Plants began blending 50 MGD of Susquehanna water with Loch Raven water. The low lift pumps suction well. 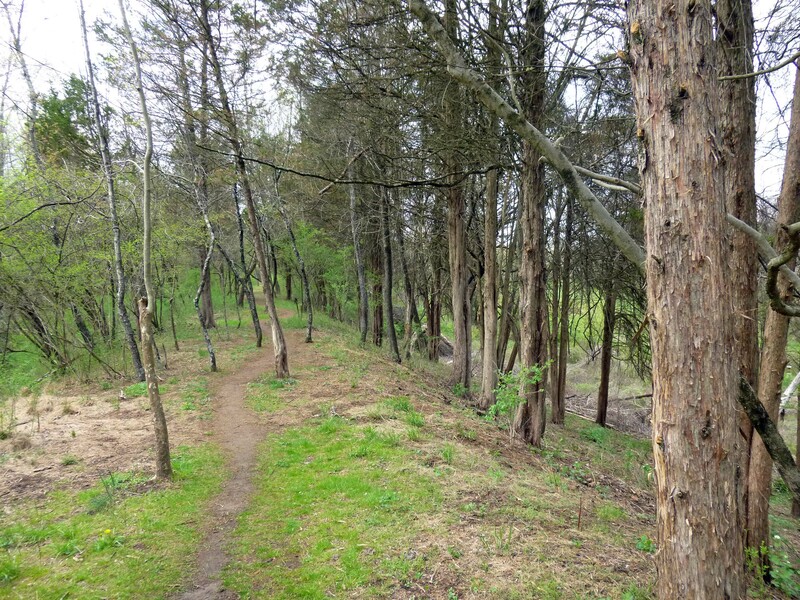 A section of the Susquehanna pipe line – 36 miles from the river to Baltimore. 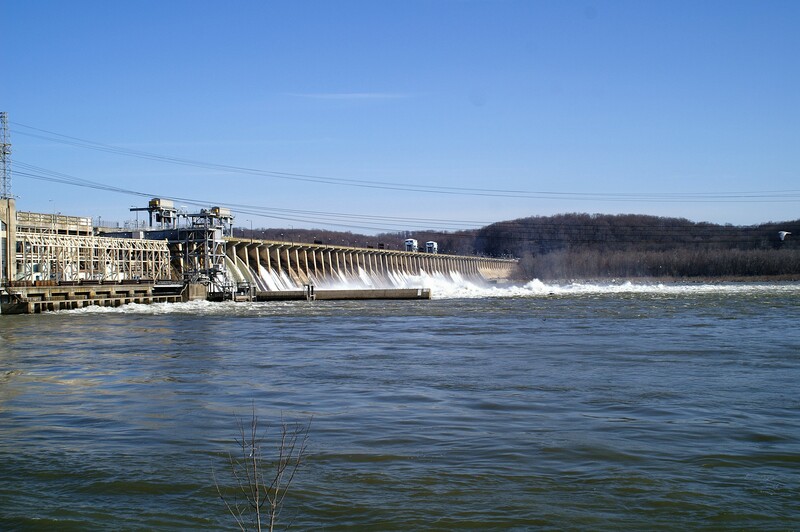 The intake structure on the Susquehanna River. 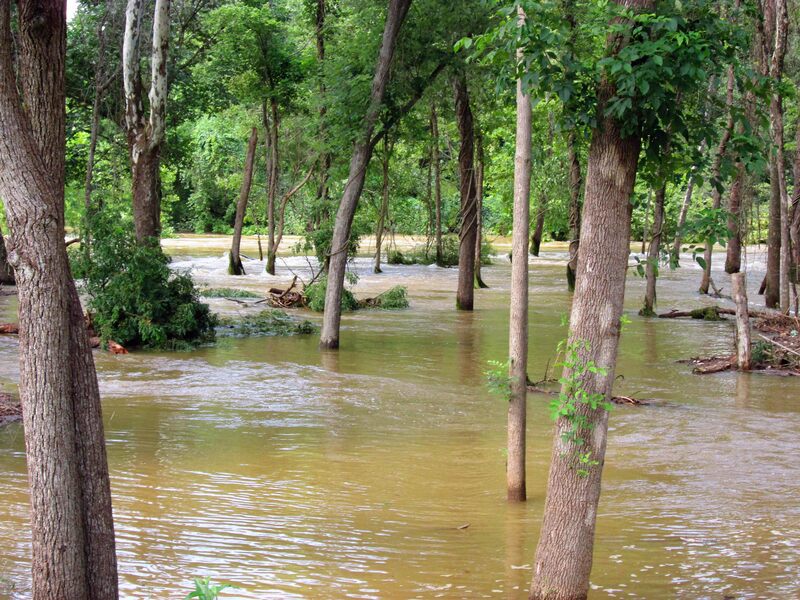 The pumps at Deer Creek. 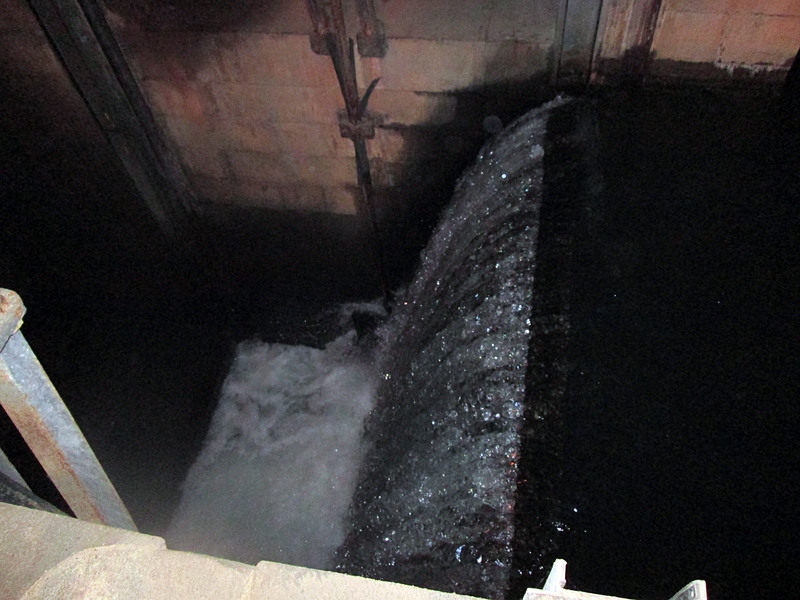 Because of the variation in the elevation of the pipe line, the water will not flow by gravity, so pumps are used. 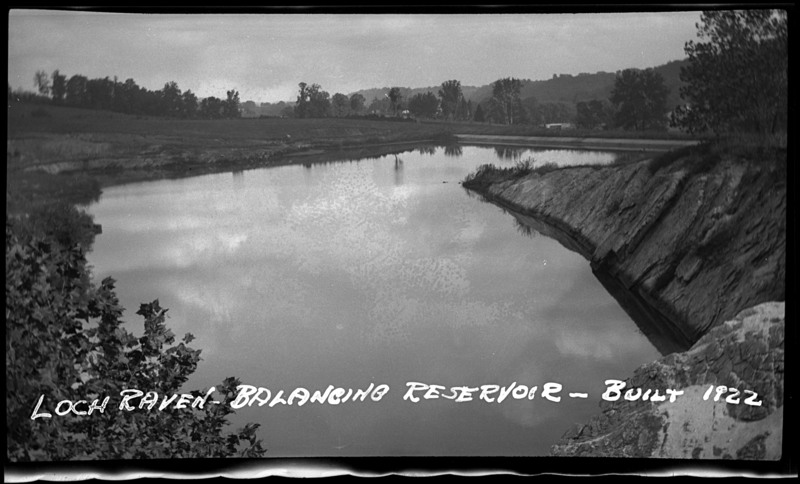 1968 – On May 30, 1968 all three raw water reservoirs were at overflow elevation for the first time since 1961. 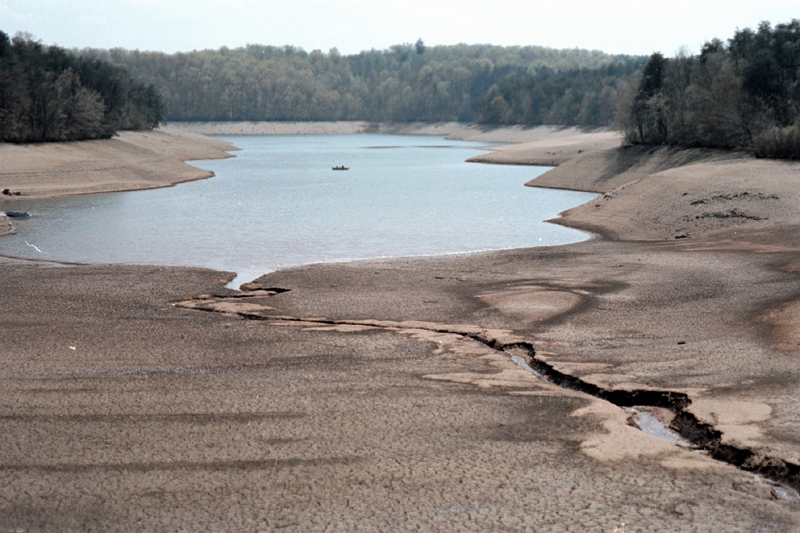 2001 – 2002 – There was a drought during the year. The drop in elevations which had begun in August/September of 2001 continued through the year. 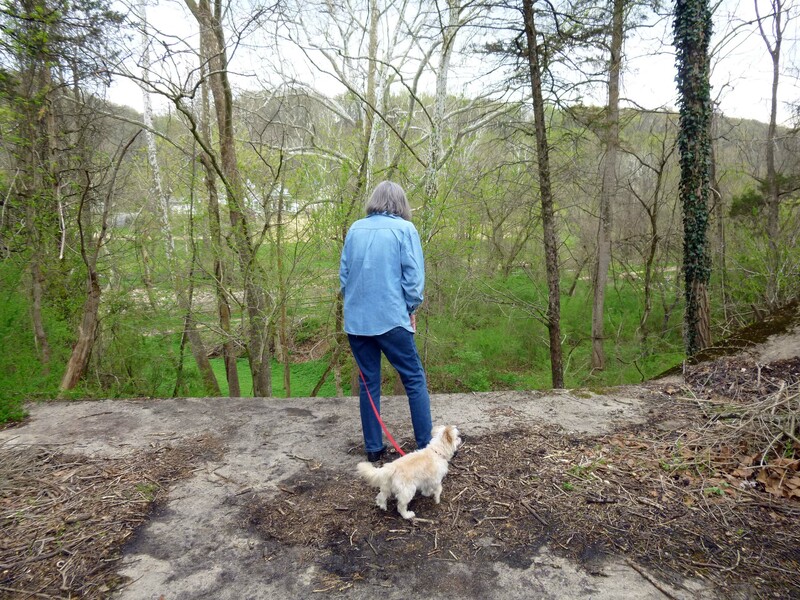 Water Management tried to maintain Loch Raven at a certain level once the drought became official. 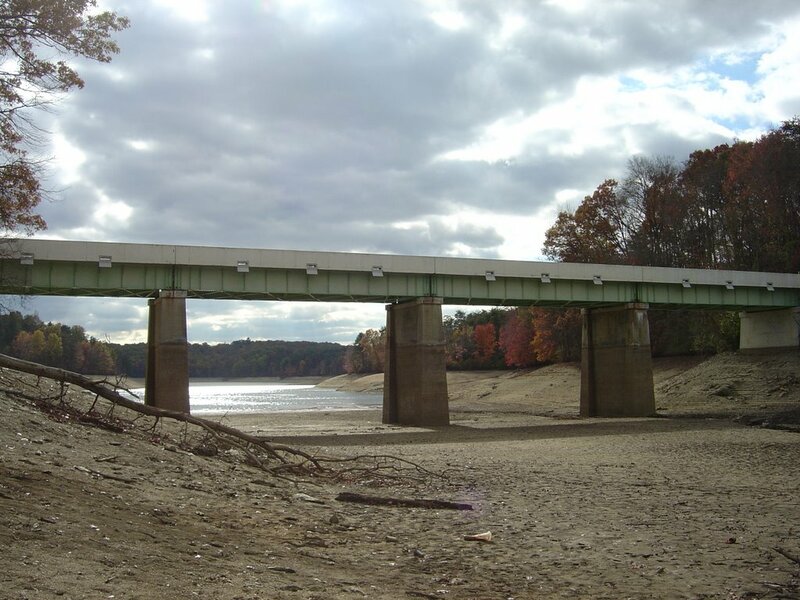 Susquehanna water was required to be blended with the Loch Raven water until the drought was over. 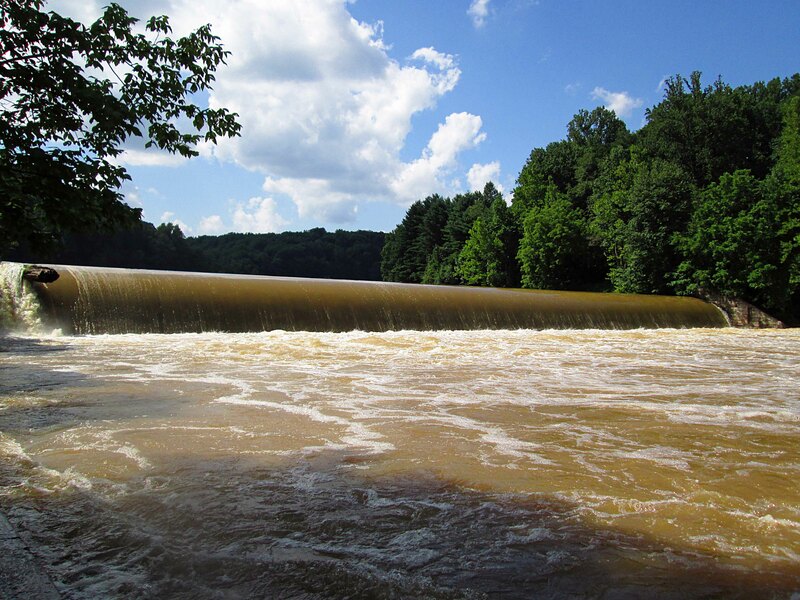 By the end of December all three raw water reservoirs were at the following elevations: Loch Raven Reservoir was at about full capacity; Prettyboy Reservoir was down by about 25 feet below full capacity or about 1.5 feet below 50% full; and, Liberty Reservoir was down by about 22.5 feet below full capacity or about 1 foot below 50% full. 2007 – Low accumulation of snow during the year and the lack of rain during summer/fall created a strain on the reservoirs towards the end of the year, creating a drought scenario. 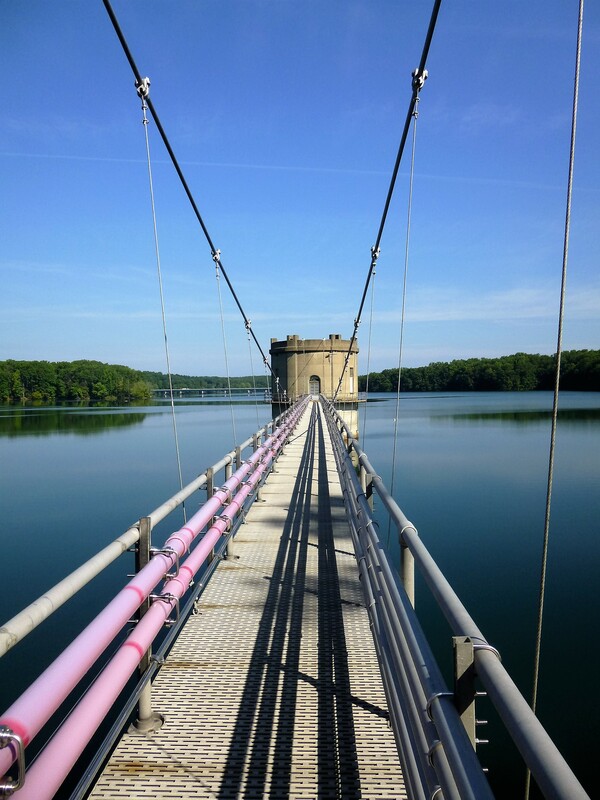 The Loch Raven Reservoir dropped below full capacity by the end of June, and by the beginning of December was at an elevation of 233.8 feet, about 6.2 feet below full capacity or about 1.3 feet above 75% full. 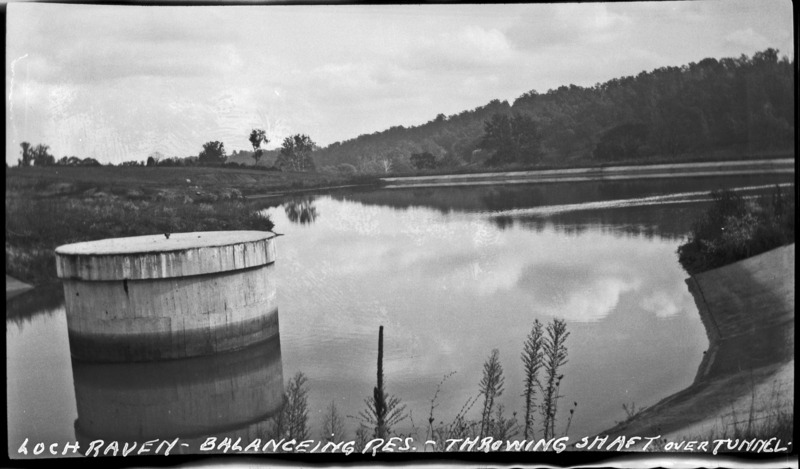 Water Management at this time was trying to balance the elevations between Loch Raven and Prettyboy so that Loch Raven would not overflow while Prettyboy remained significantly low, should the groundwater increased the raw water levels, as had happened in 2002. The Prettyboy Reservoir dropped below full capacity by the end of May and continued dropping for months. By the beginning of December, Prettyboy Reservoir was at an elevation of 497.3 feet, about 23 feet below full capacity or about 0.8 feet above 50% full. 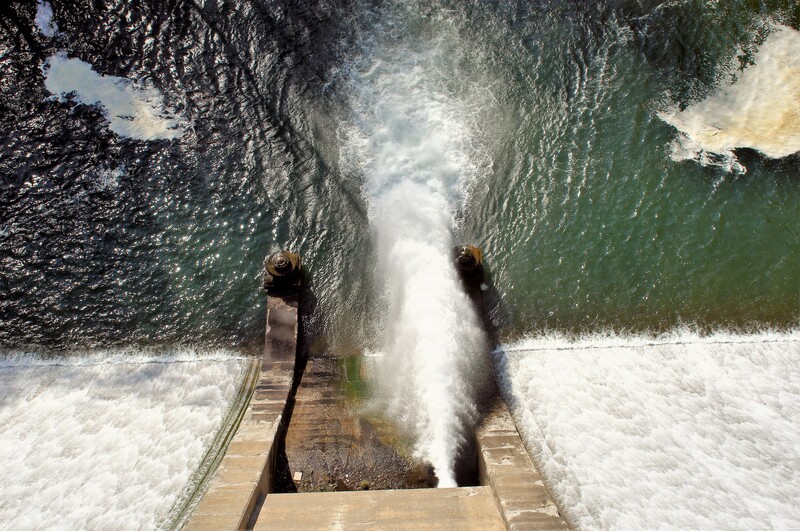 The Liberty Reservoir dropped below full capacity by the end of May and continued dropping for the remainder of the year. By the beginning of December, Liberty Reservoir was at an elevation of 407.08 feet, about 13 feet below full capacity or about 3 feet below 75% full. 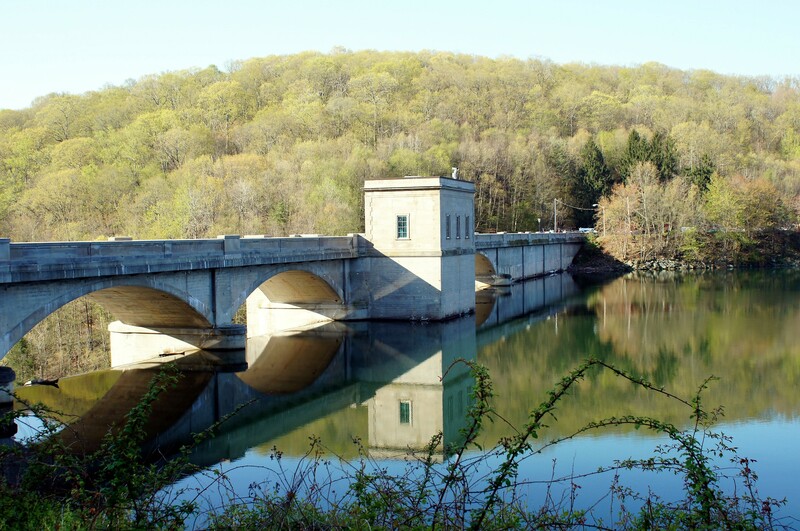 On December 11, 2007 it was planned by Water Management to open the Susquehanna line to relieve the dwindling raw water reservoir levels. The opening of the Susquehanna line was delayed due to the Director’s health and eventual death, which also delayed notification to the public of a pending drought situation and the planned opening of the Susquehanna line. 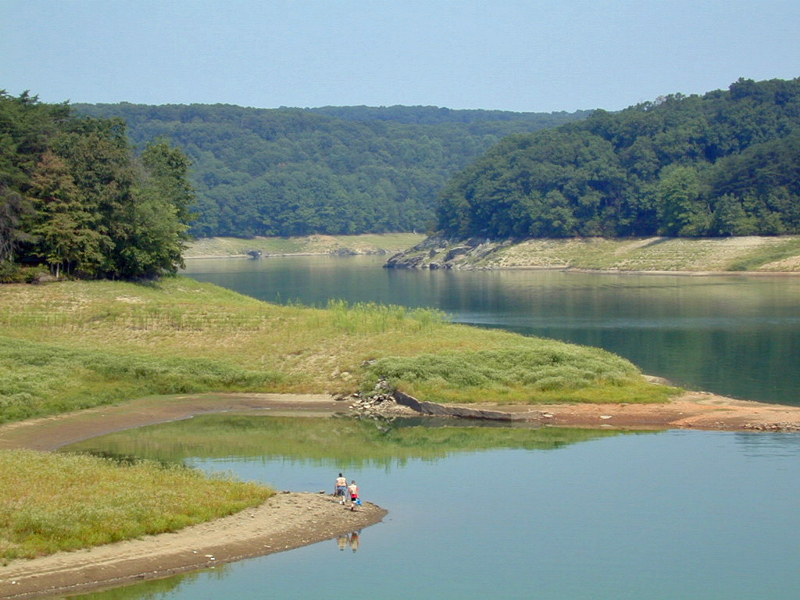 Days later after the death of the Director, the public was notified of the pending drought situation and the Susquehanna water line would be opened on December 18, 2007, first to flush the line of brackish water before blending with Loch Raven raw water. Note – some of these photos come from the dPW collection, some from people sending to me and some downloaded from US Geological.